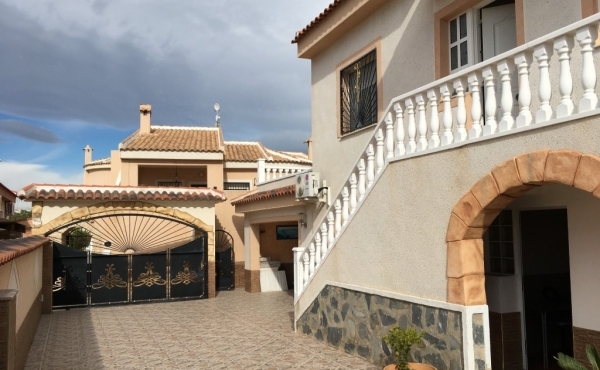 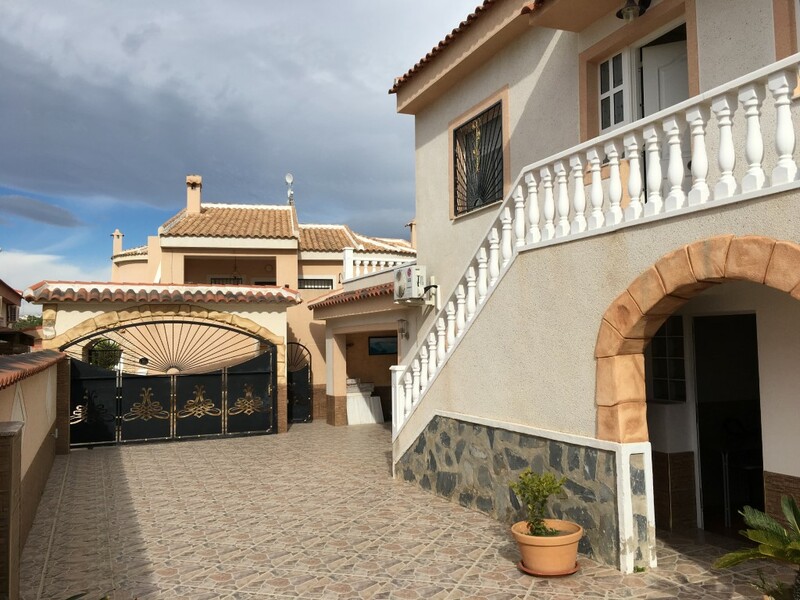 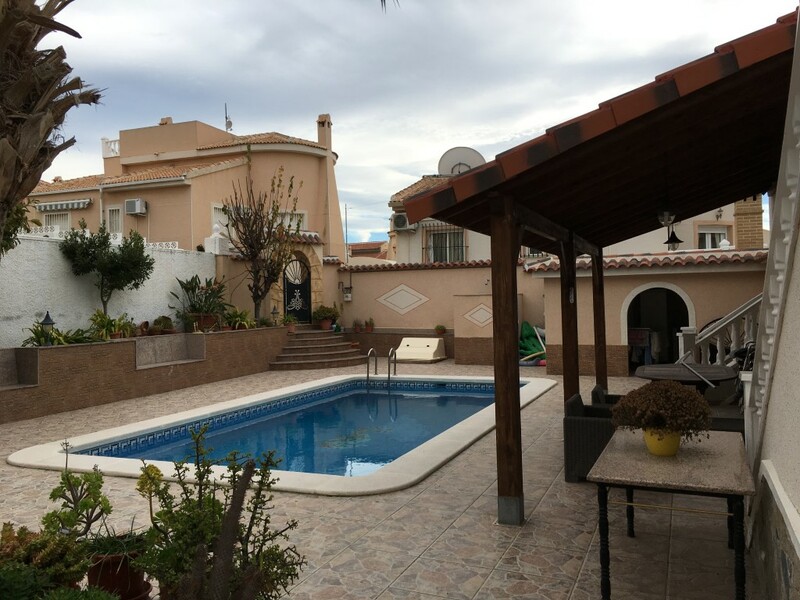 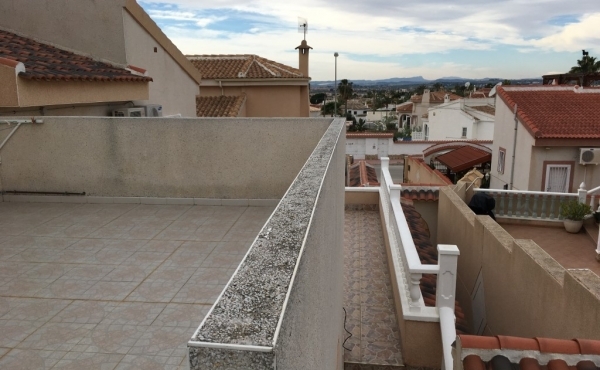 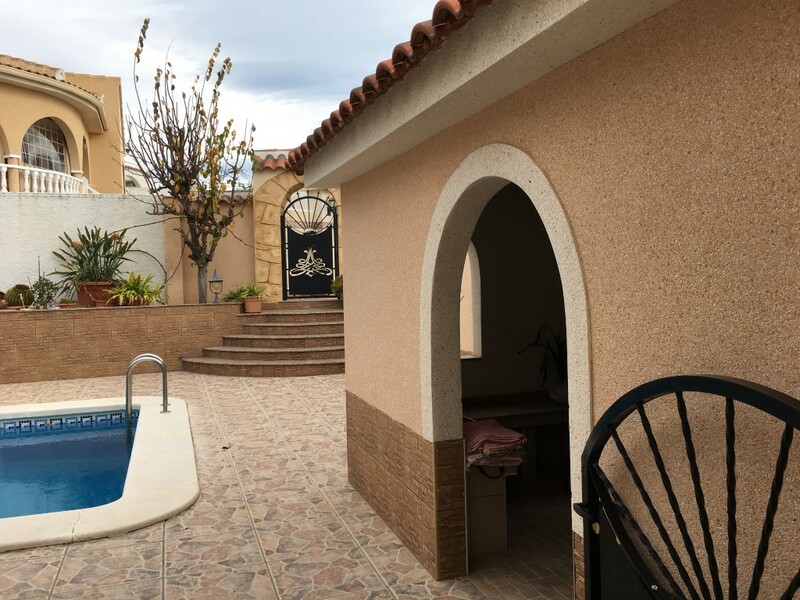 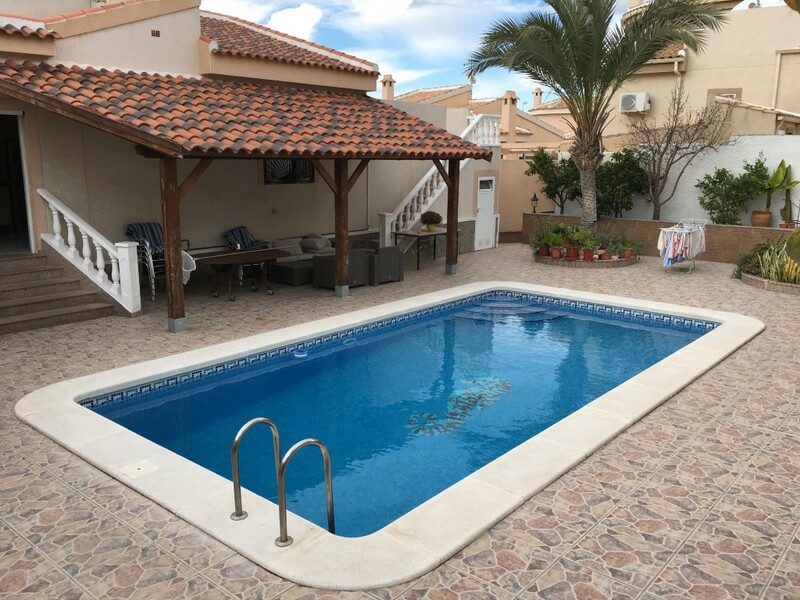 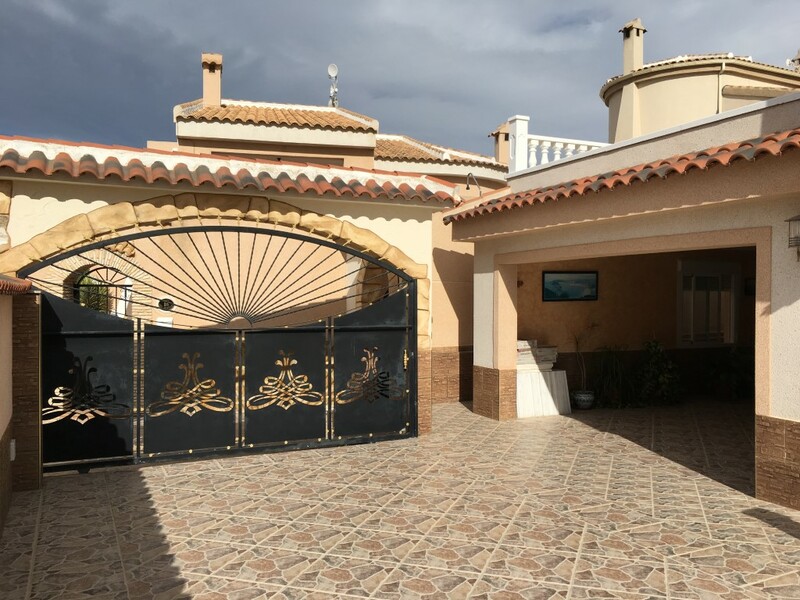 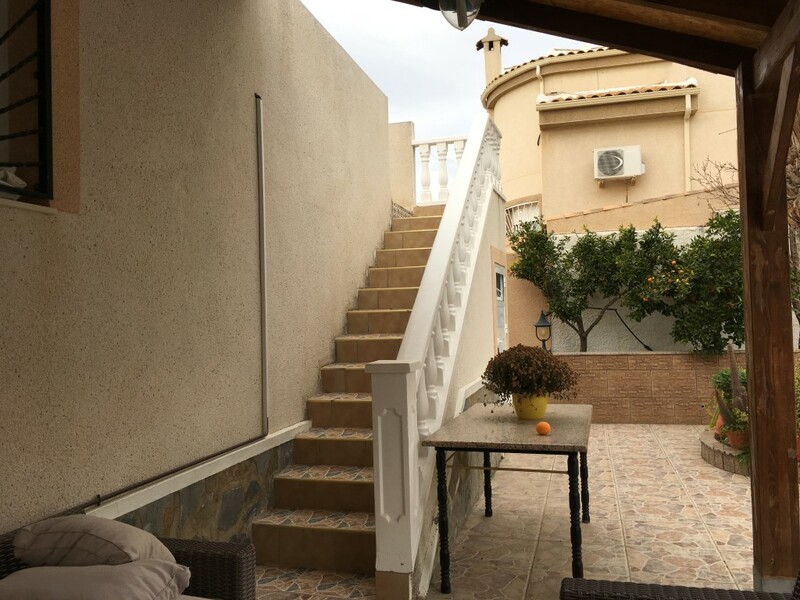 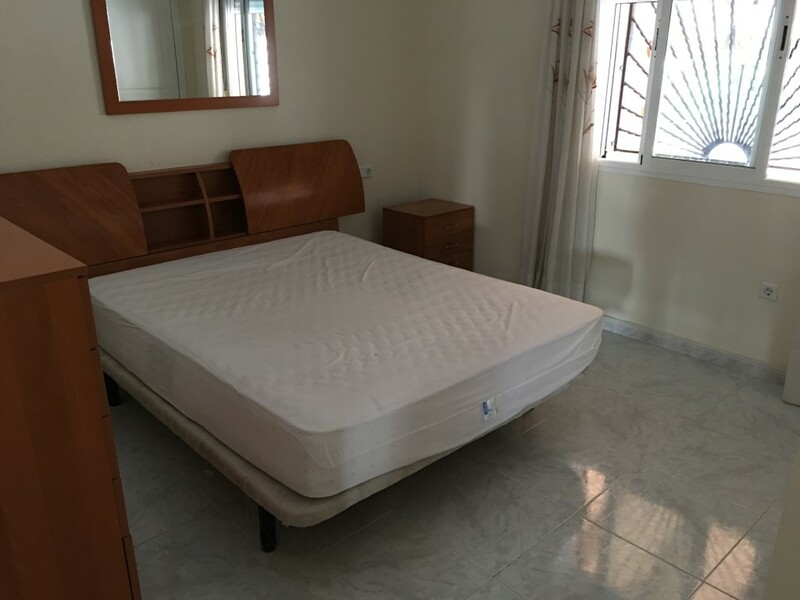 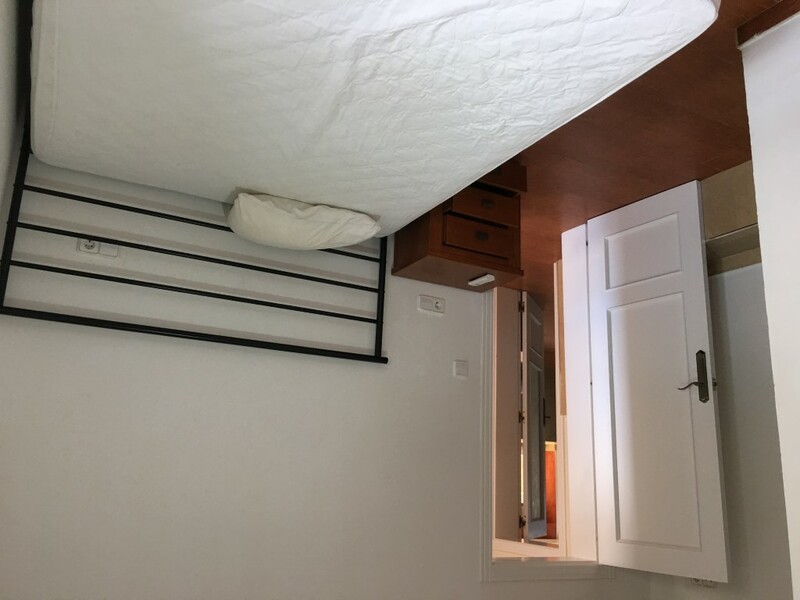 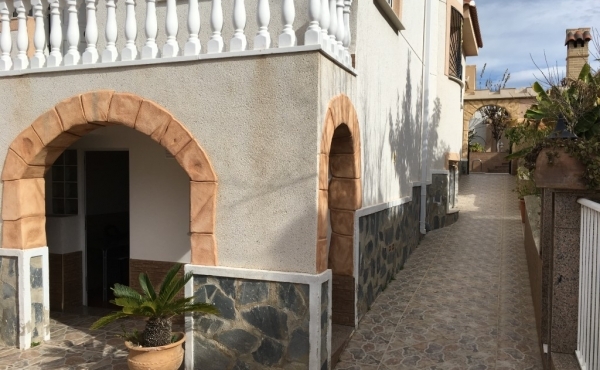 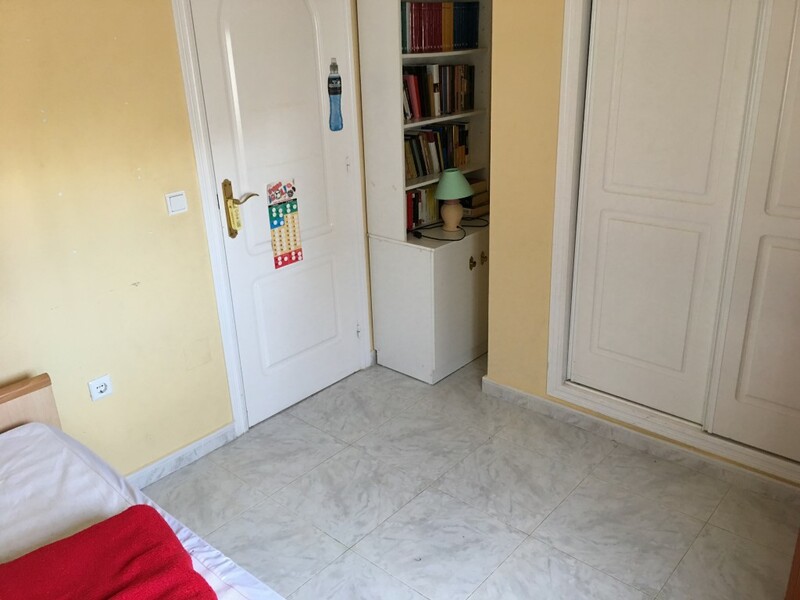 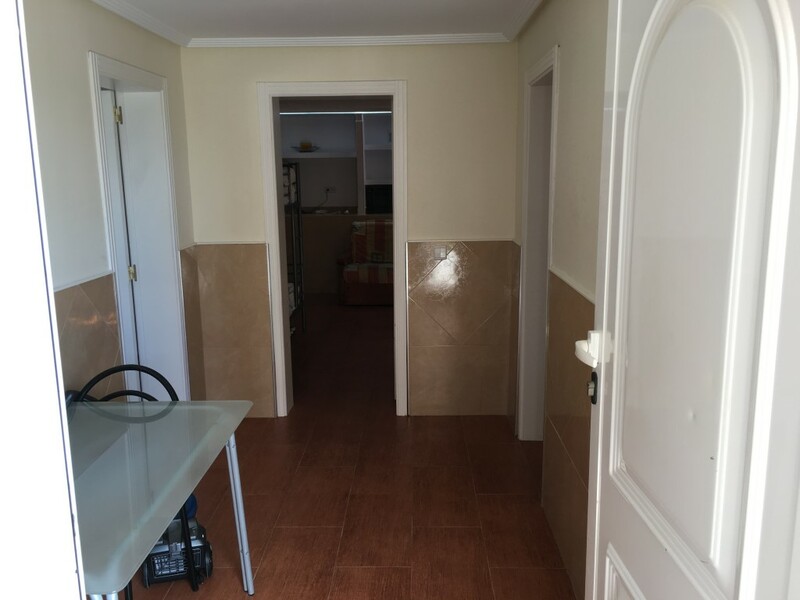 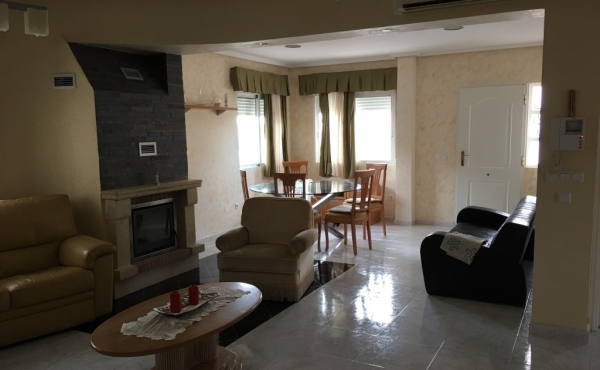 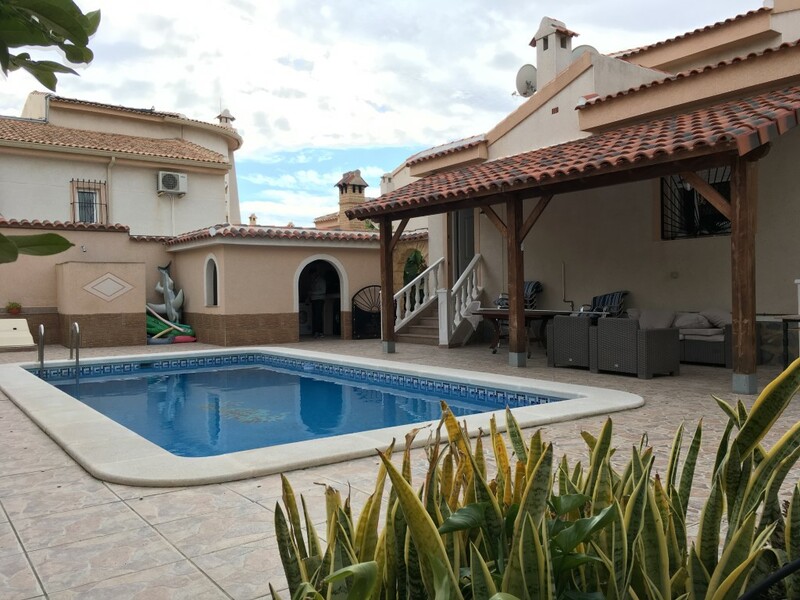 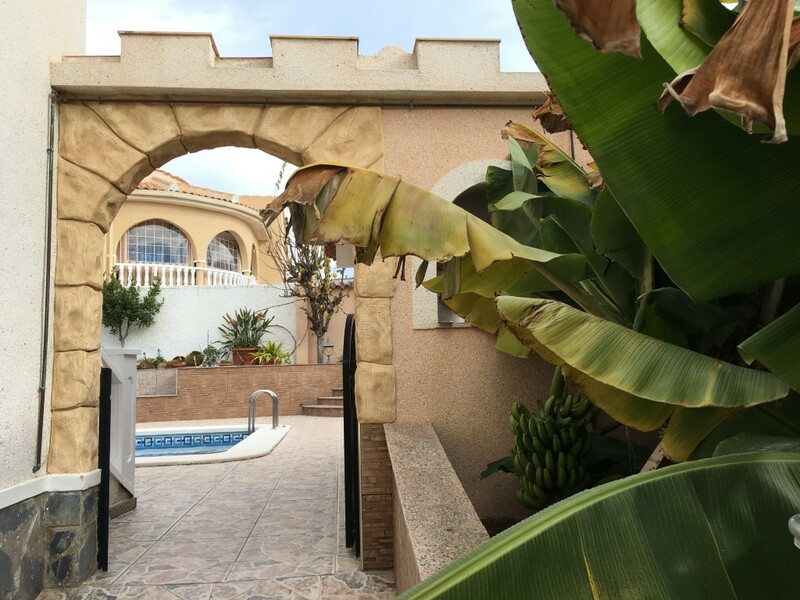 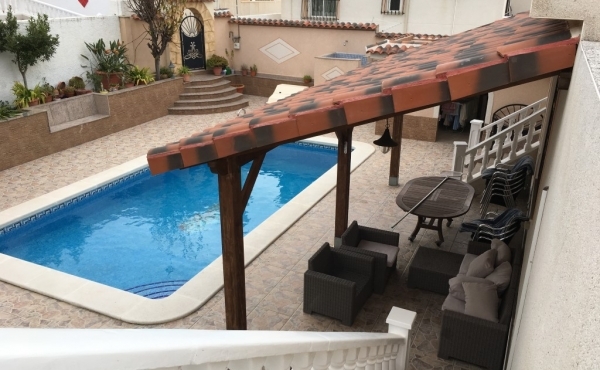 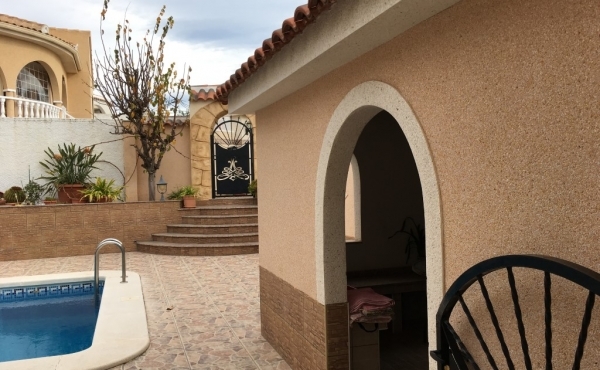 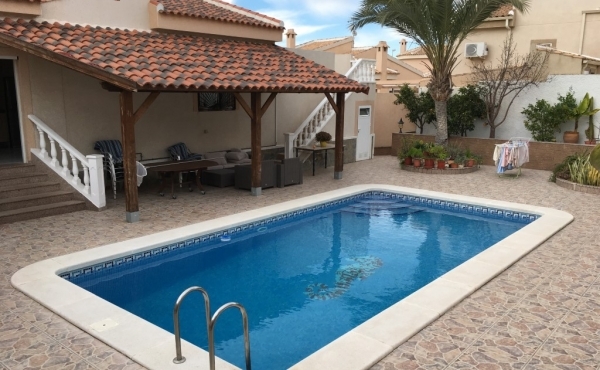 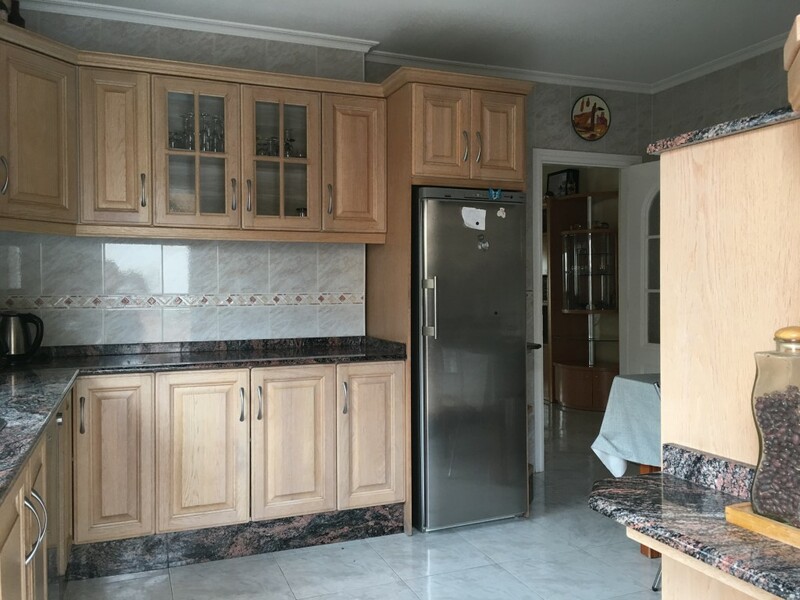 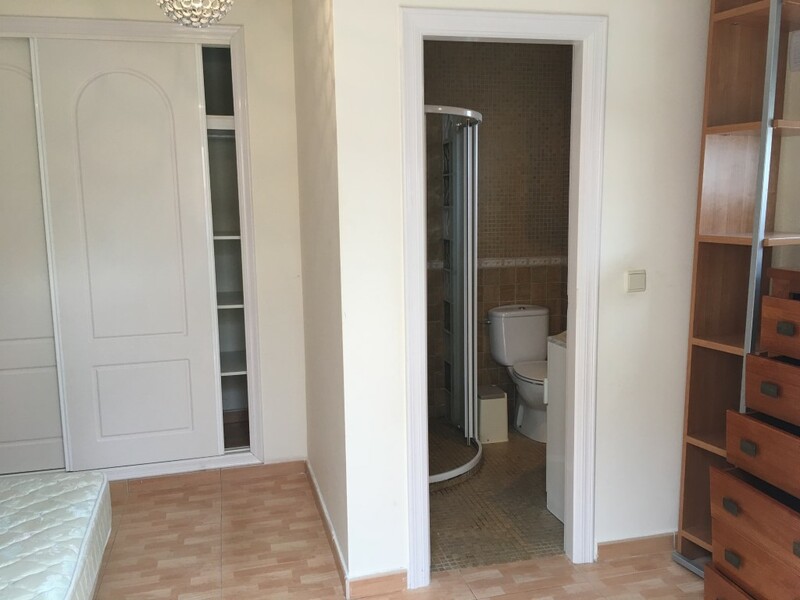 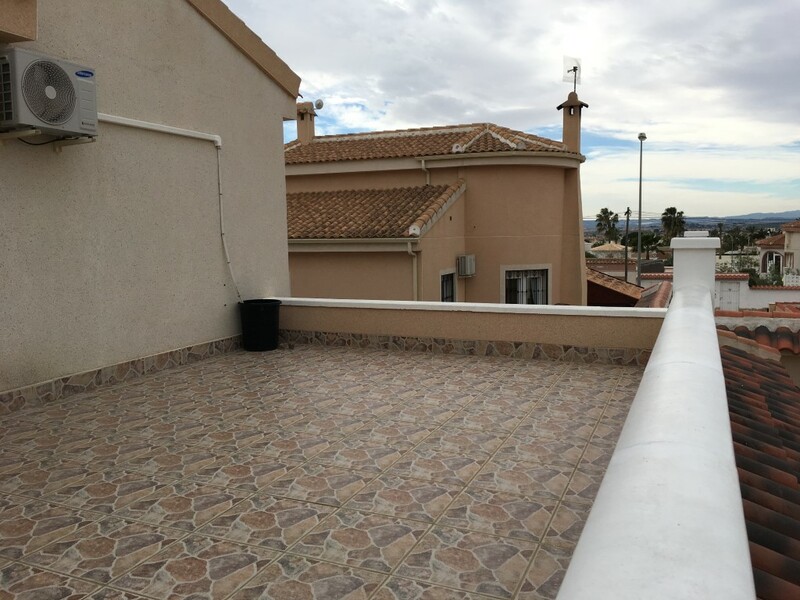 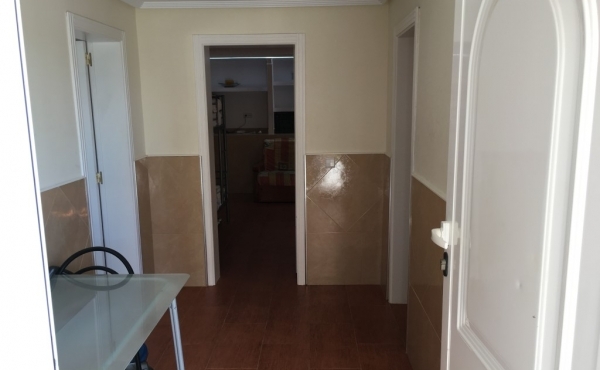 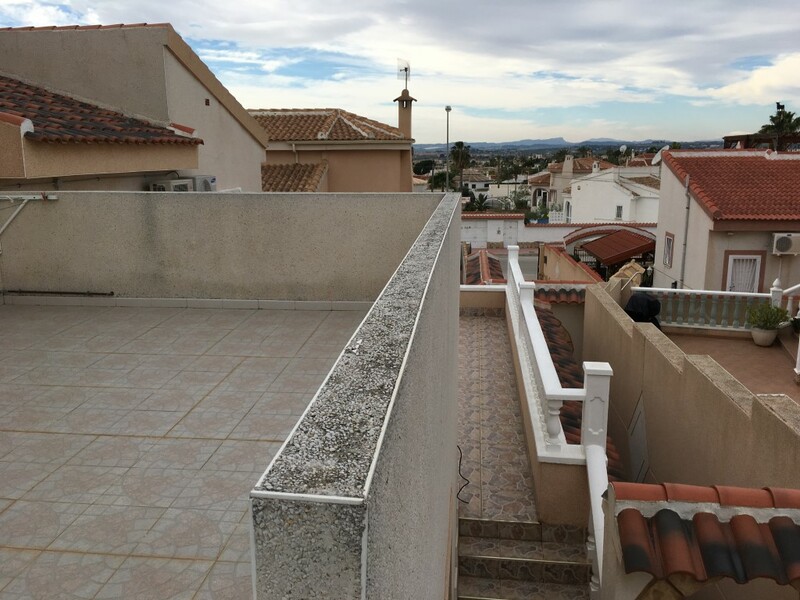 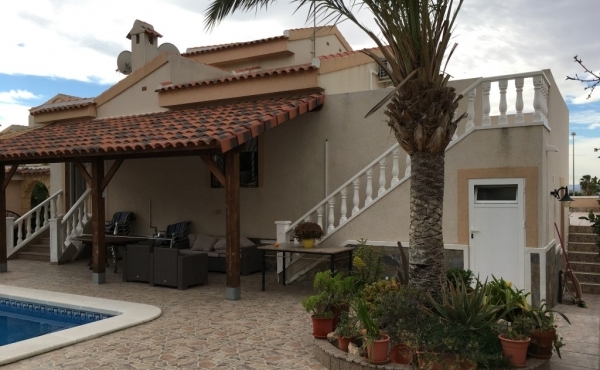 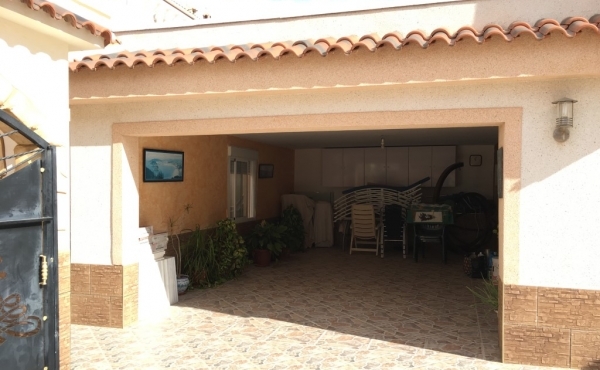 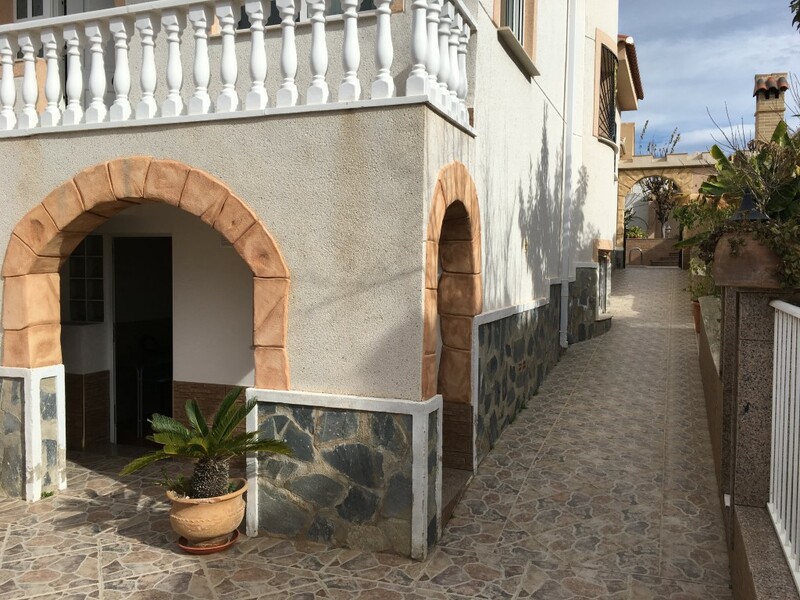 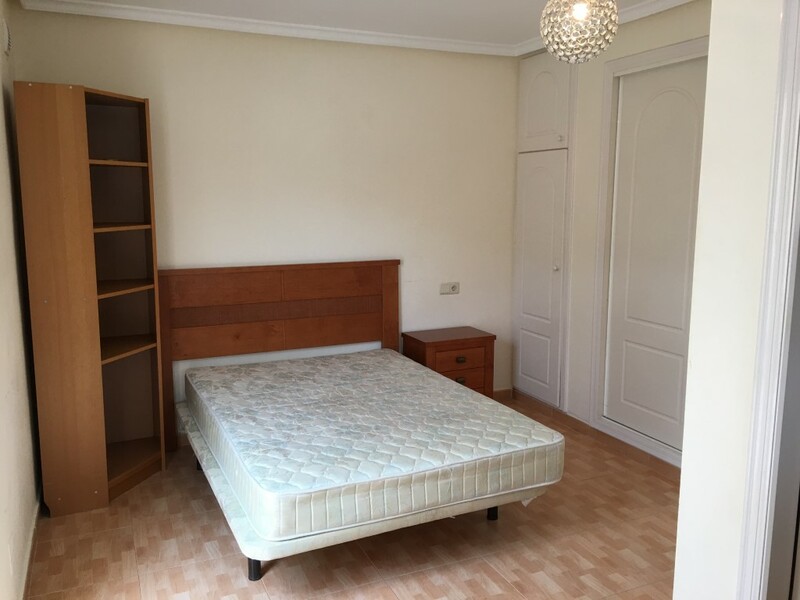 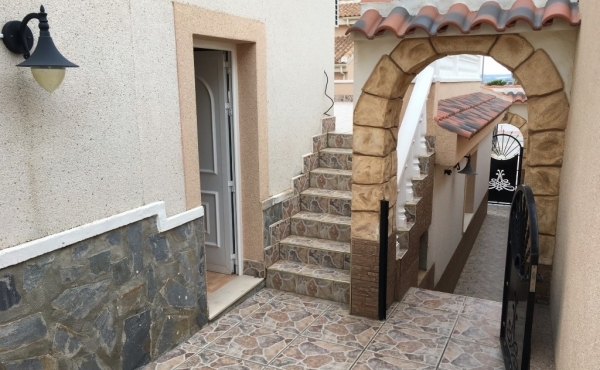 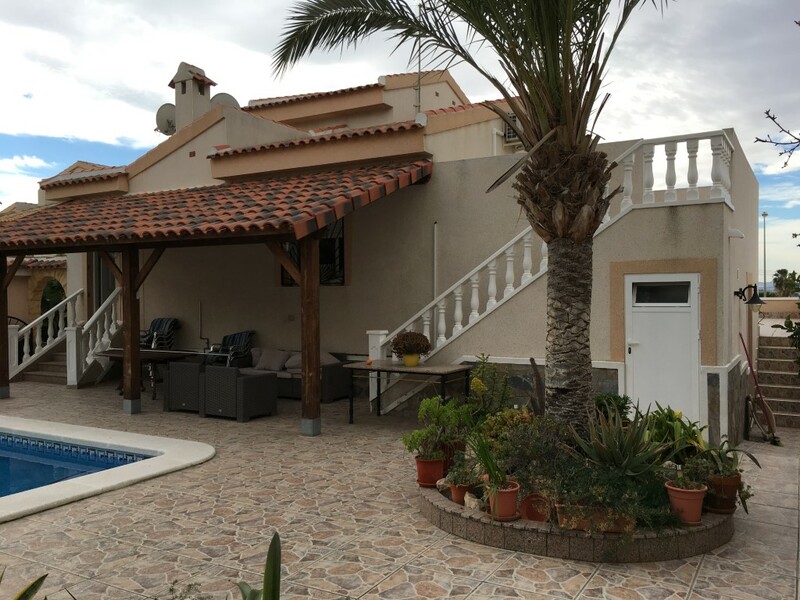 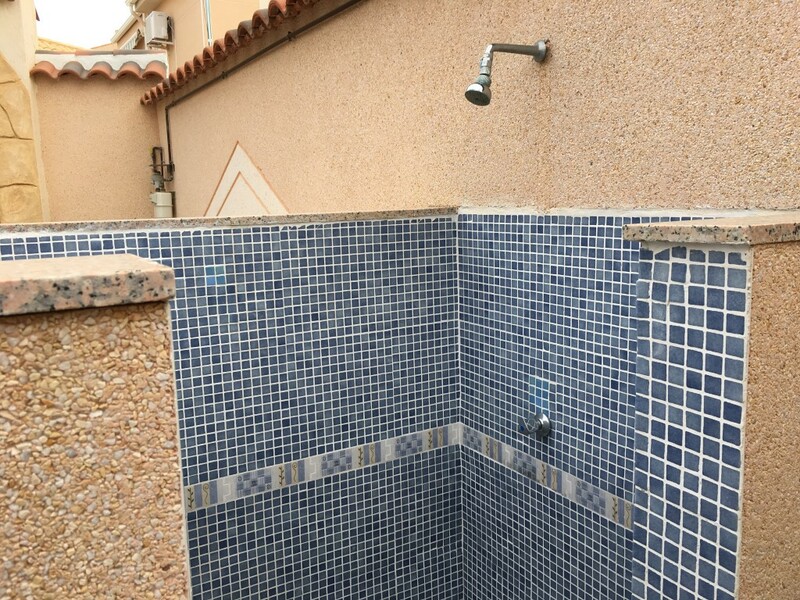 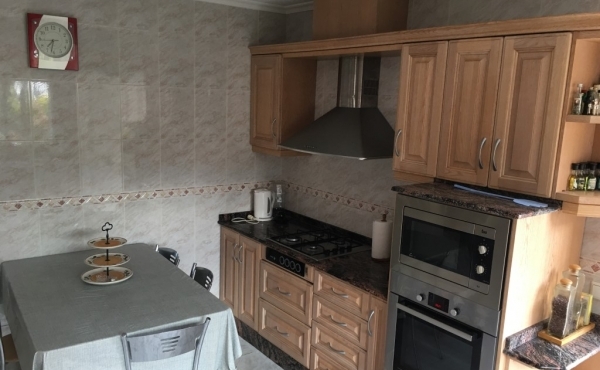 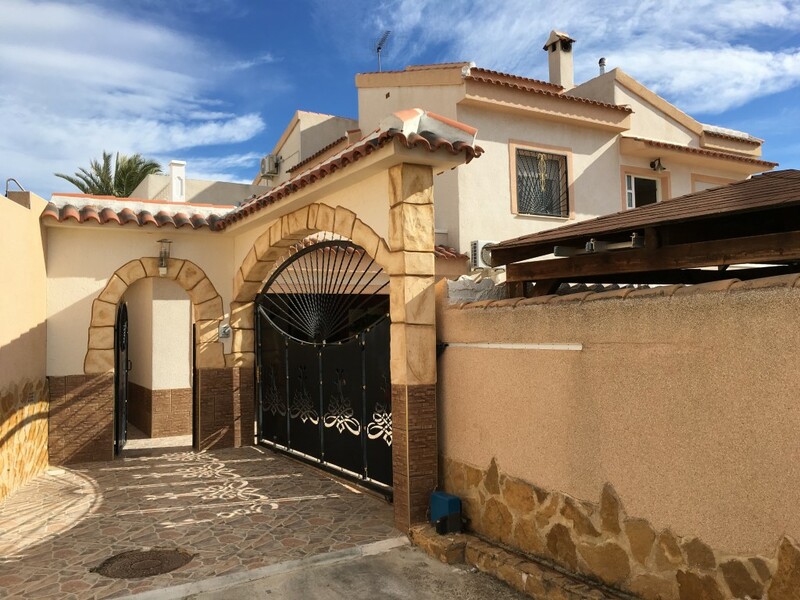 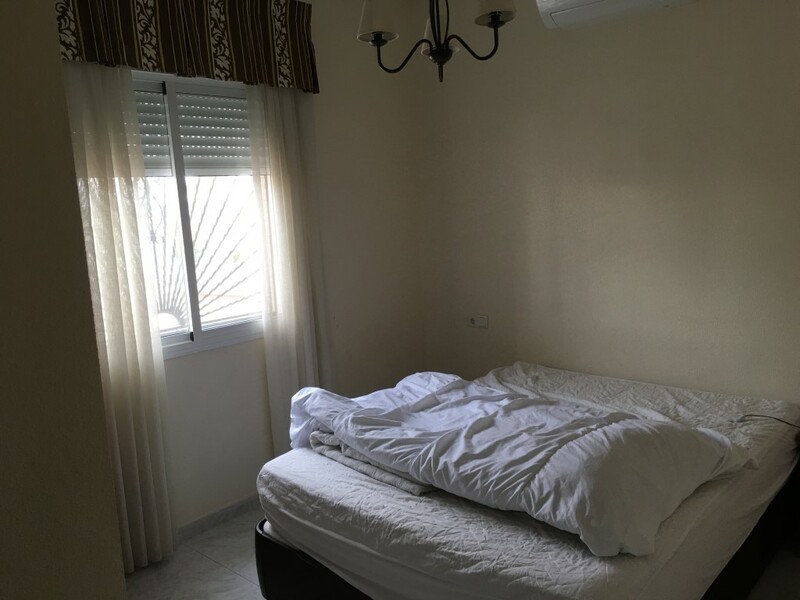 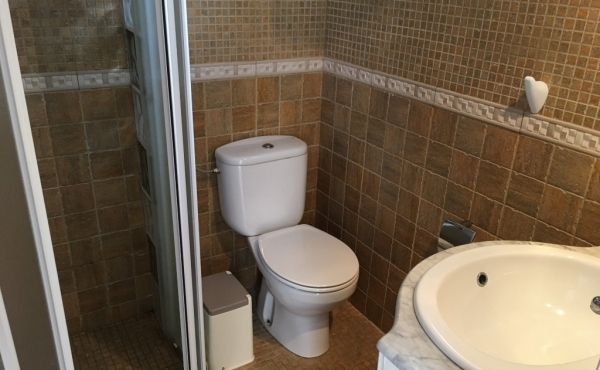 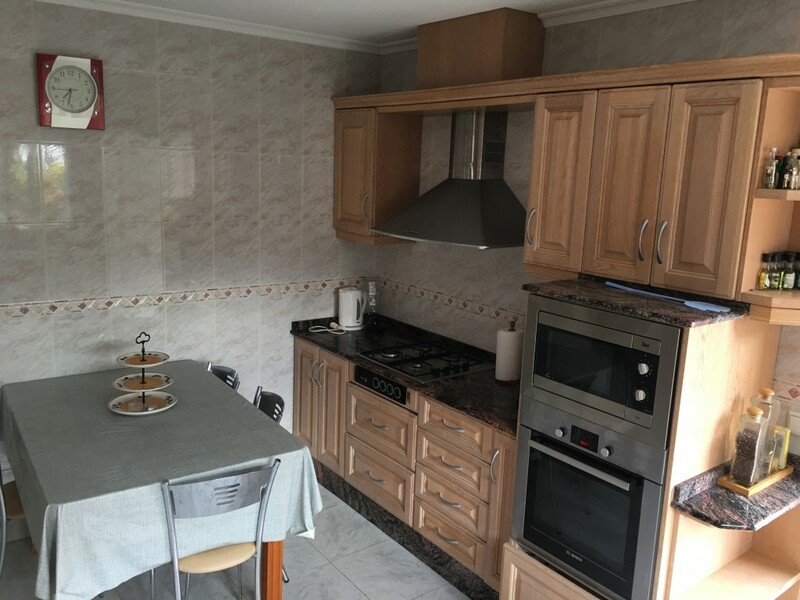 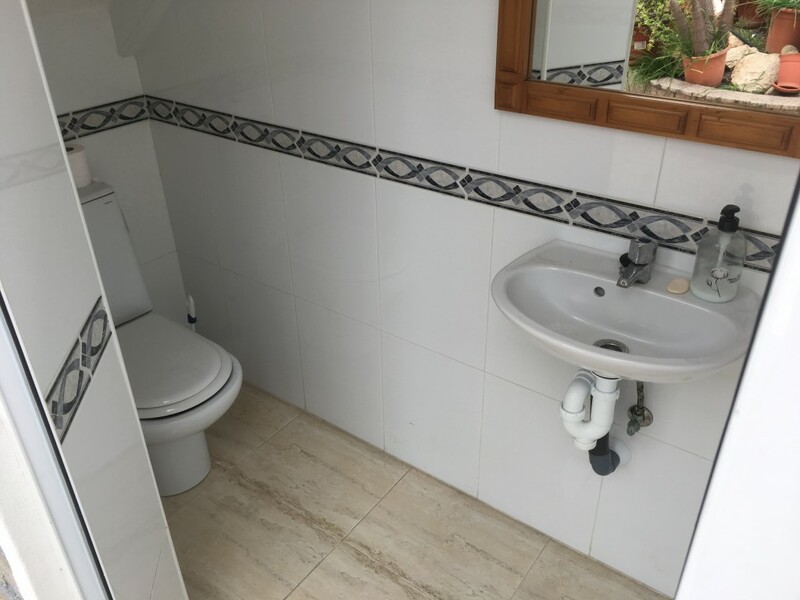 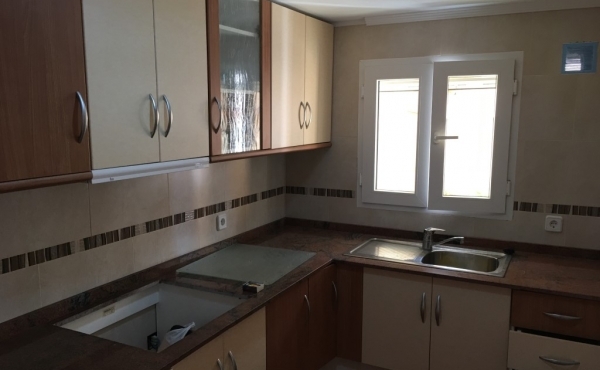 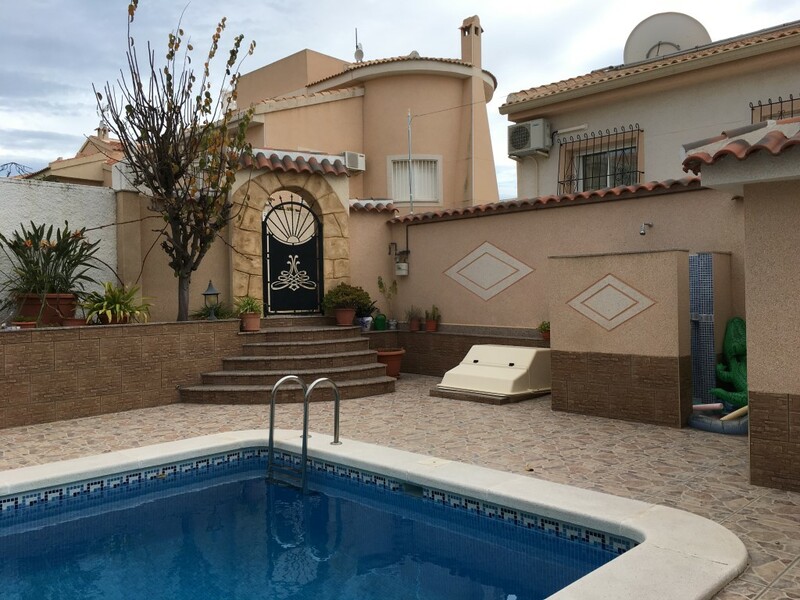 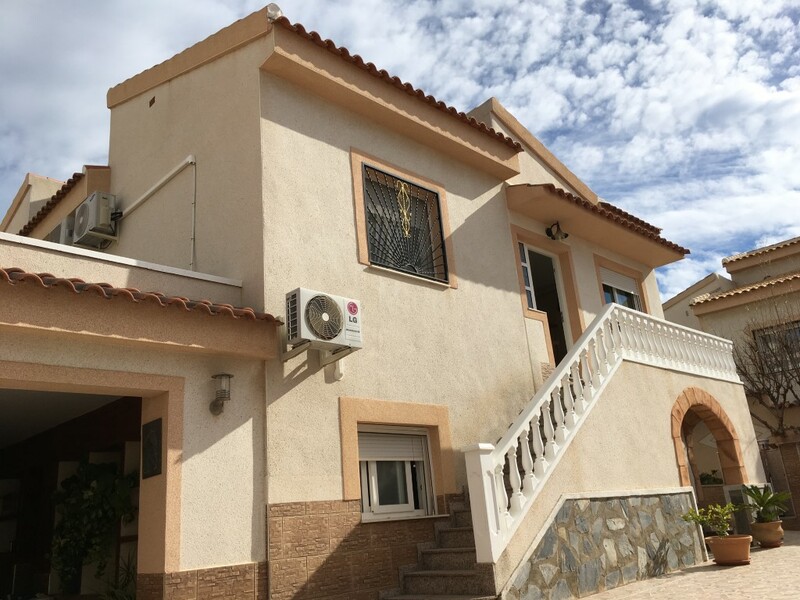 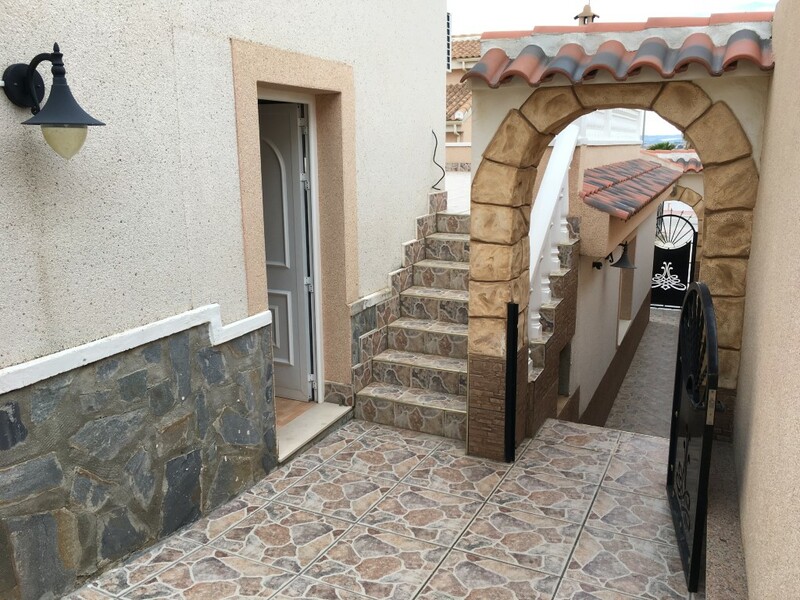 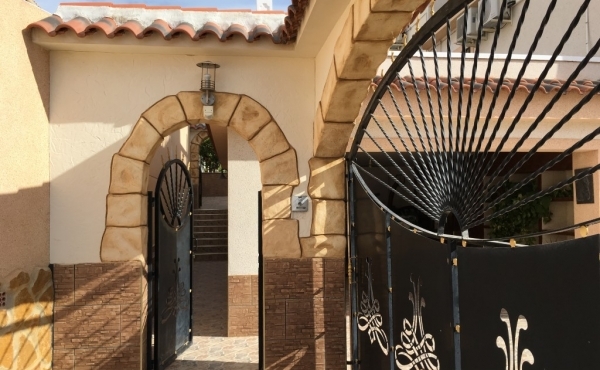 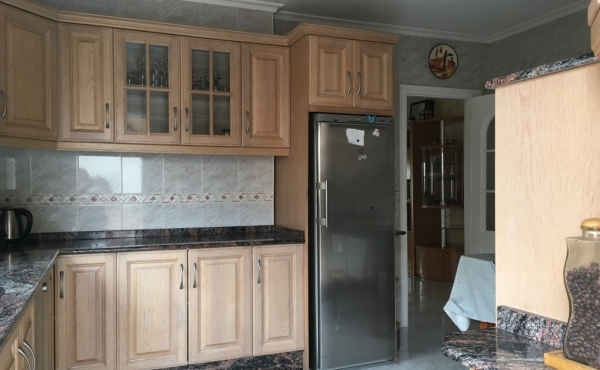 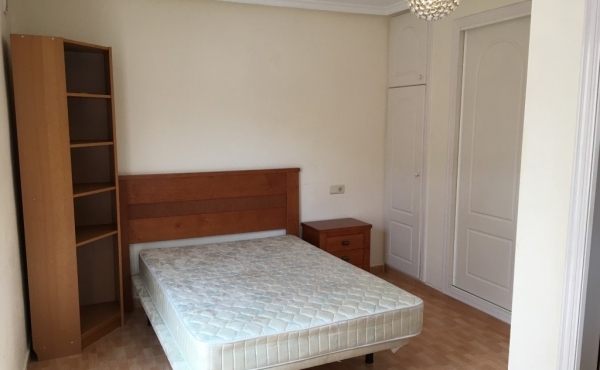 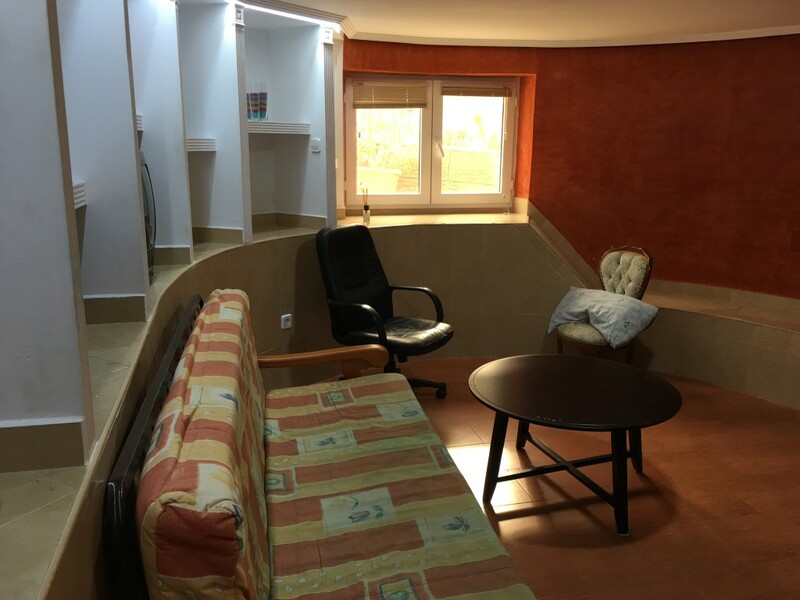 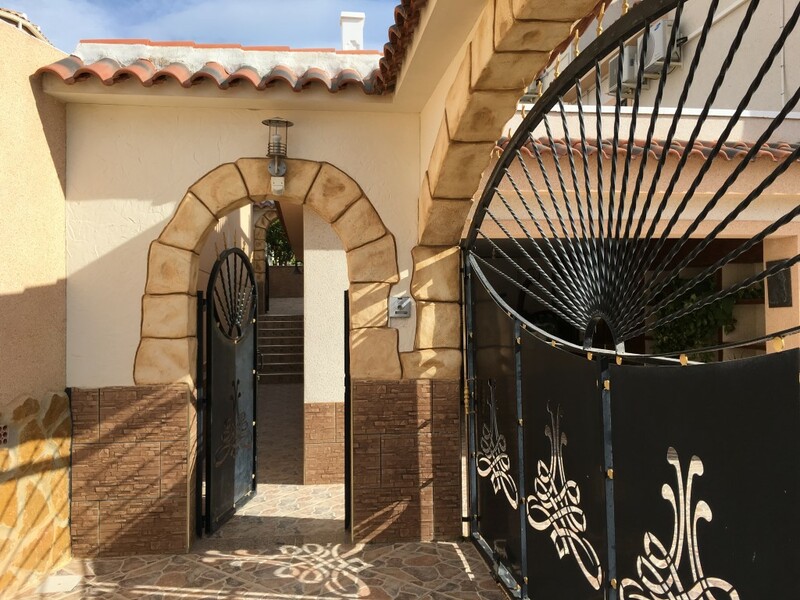 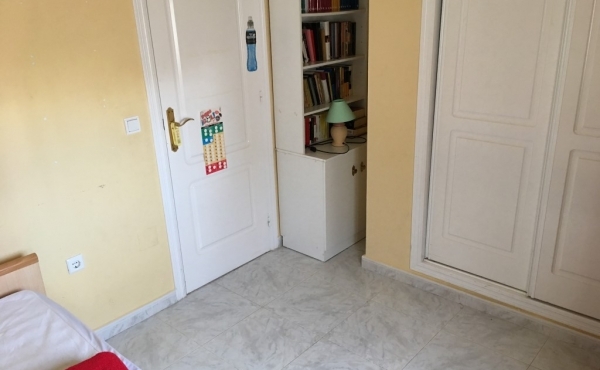 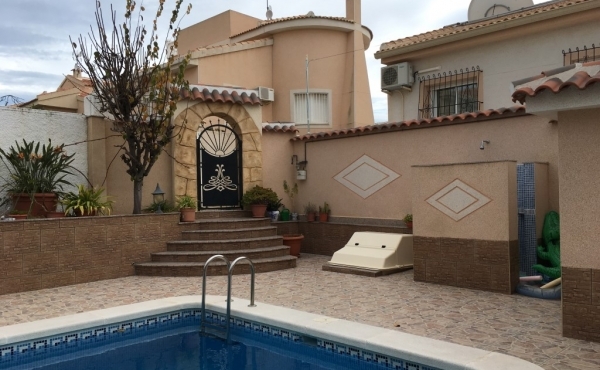 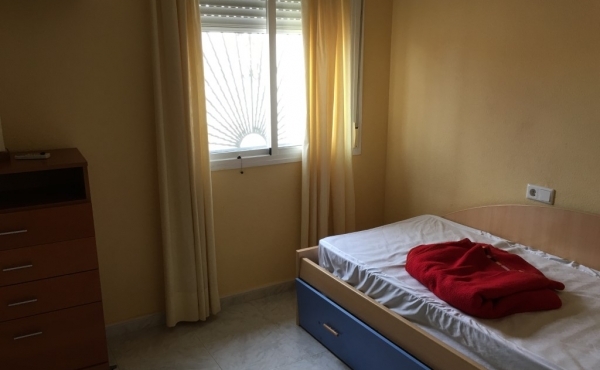 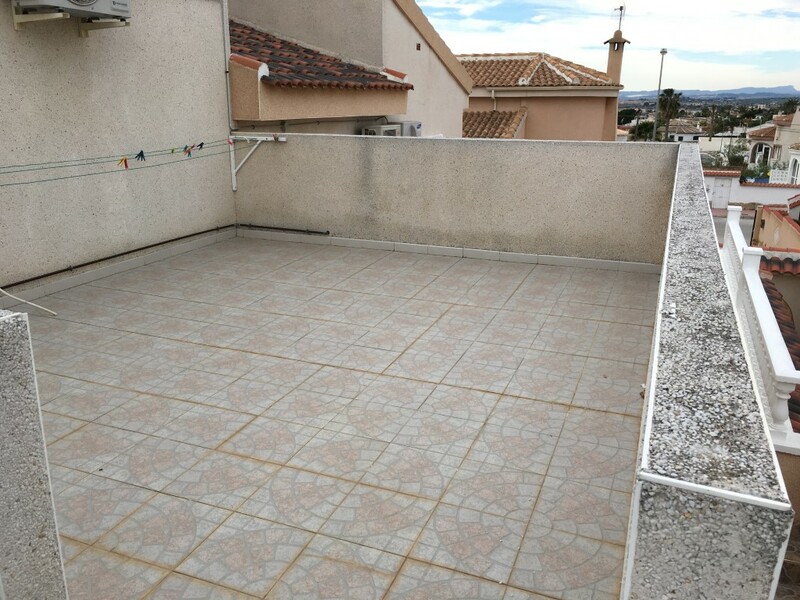 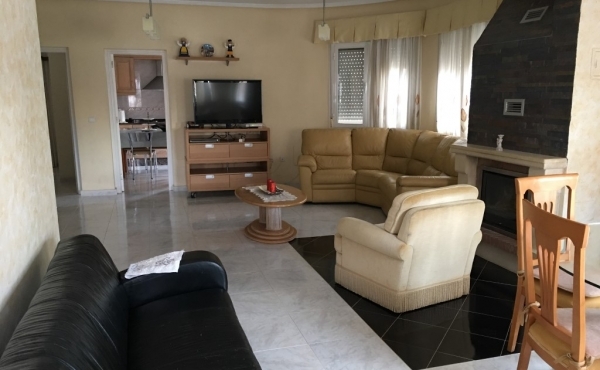 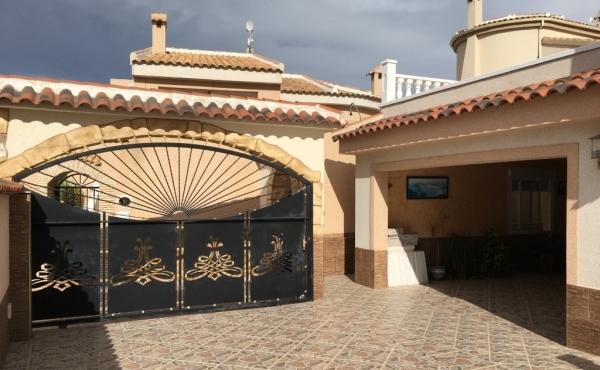 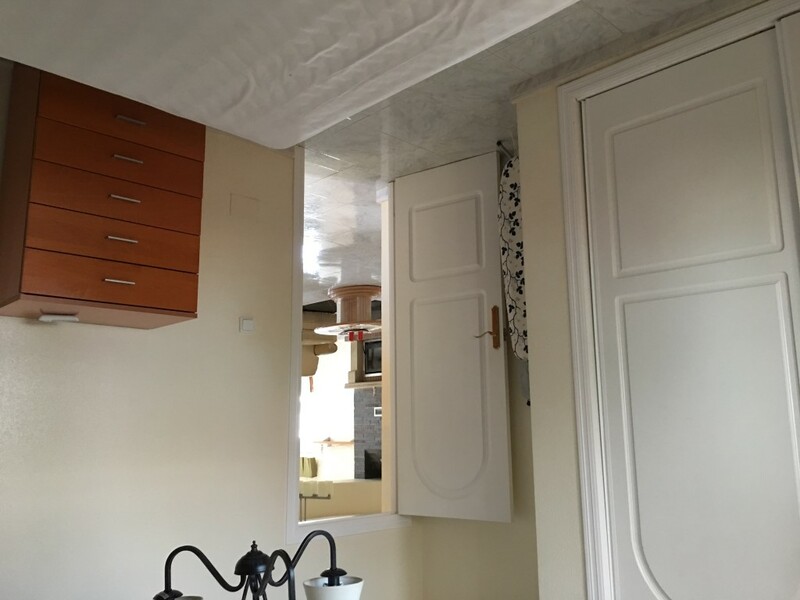 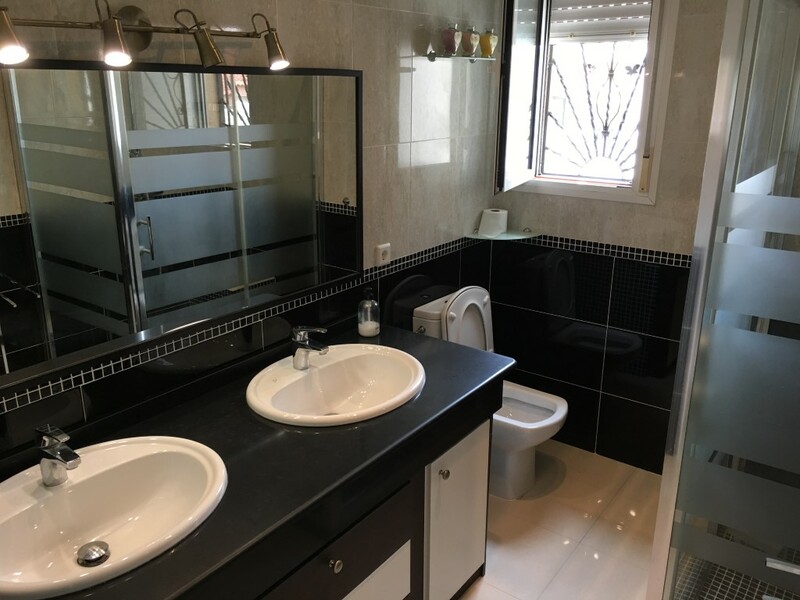 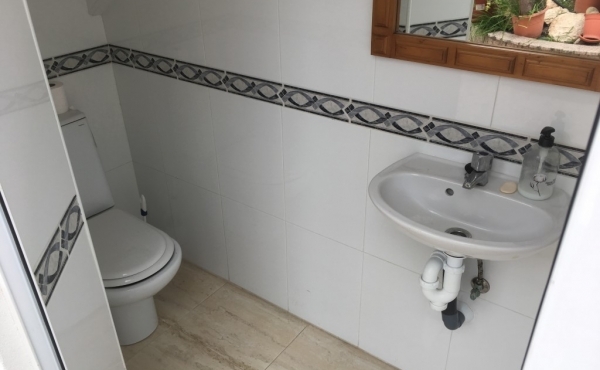 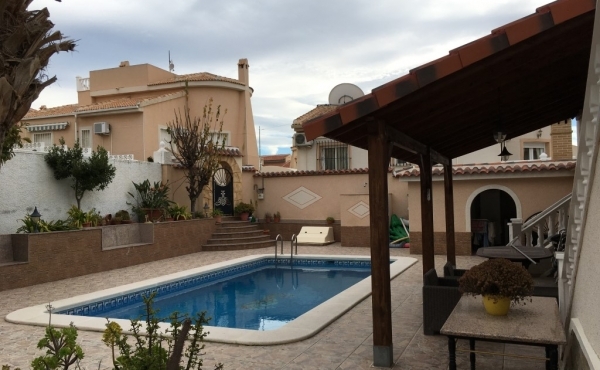 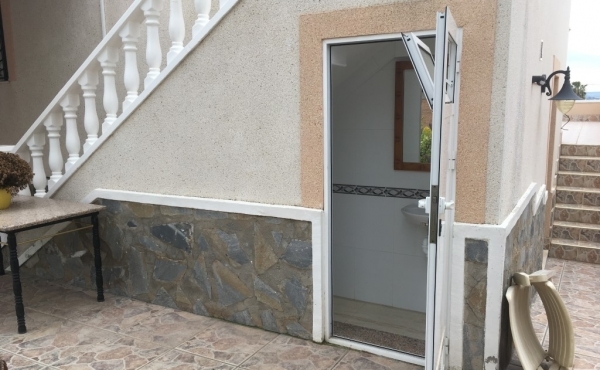 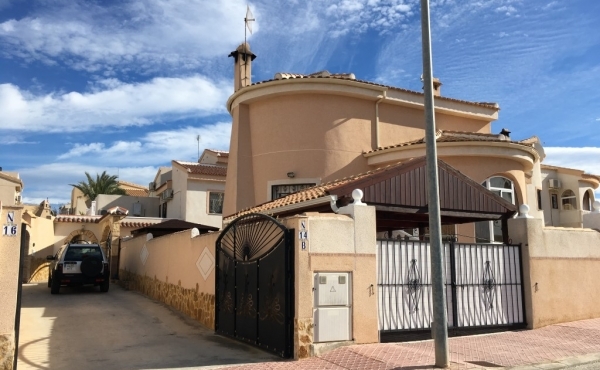 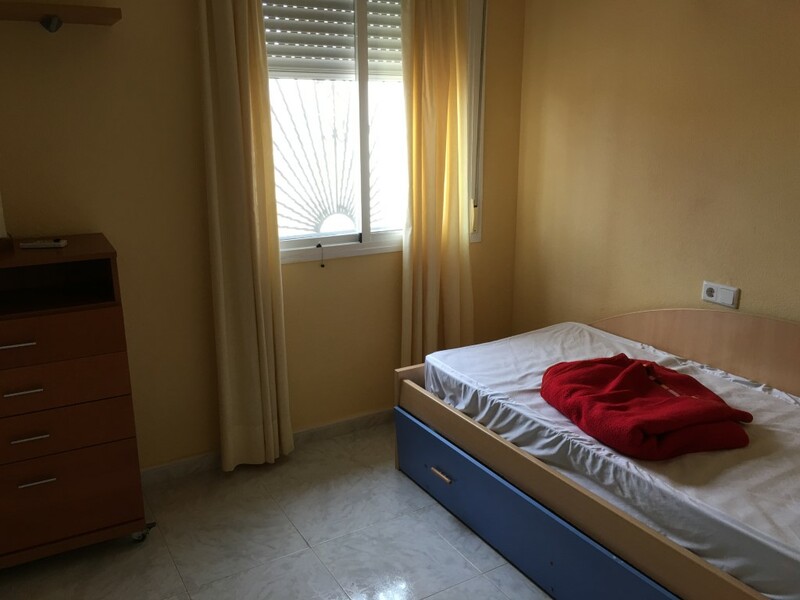 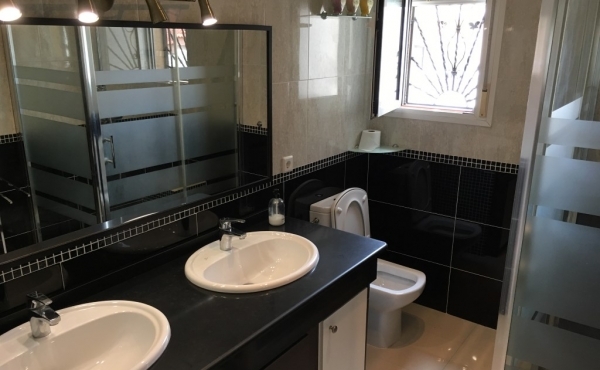 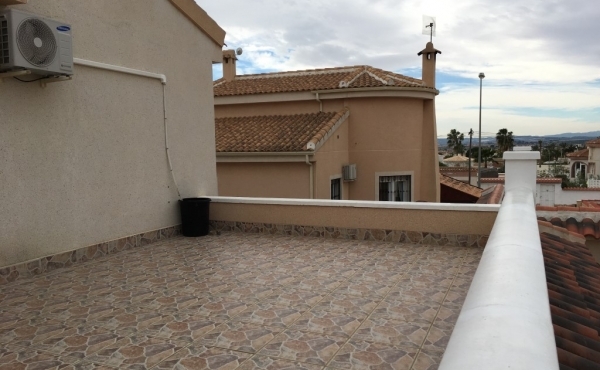 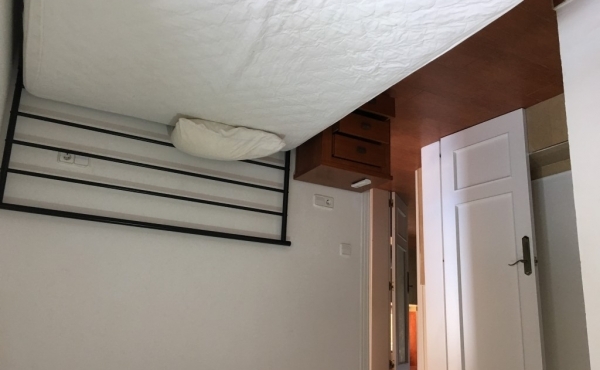 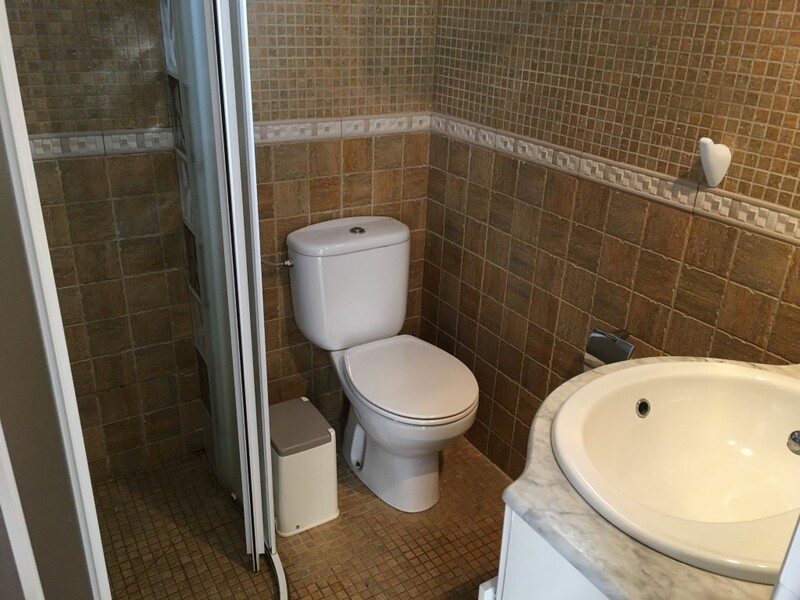 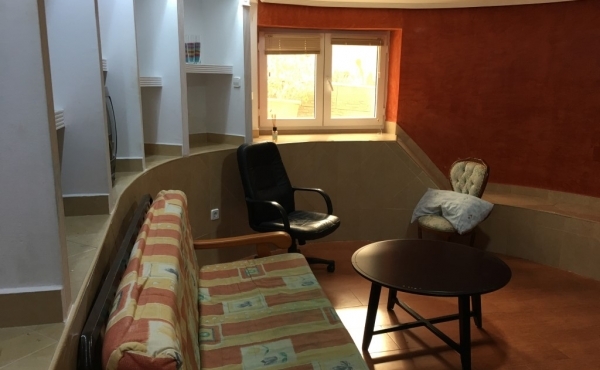 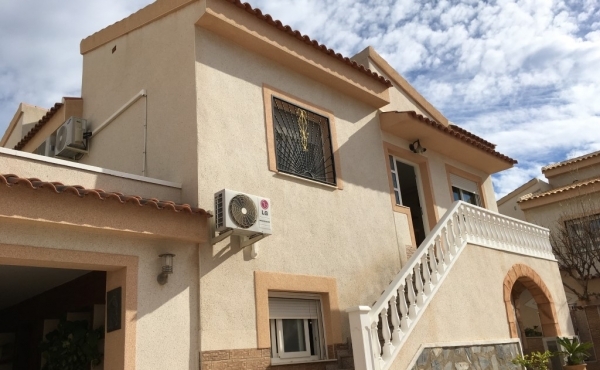 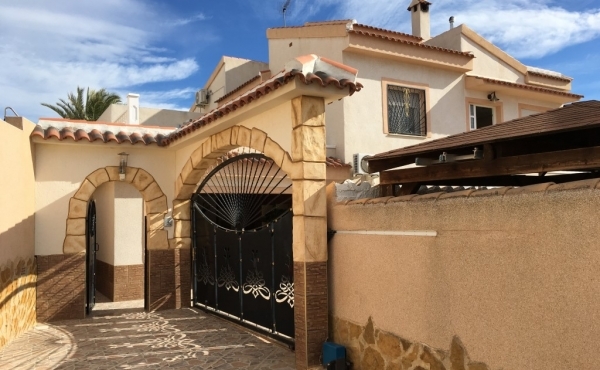 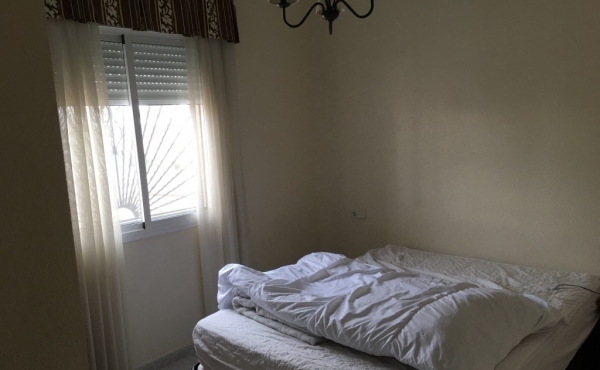 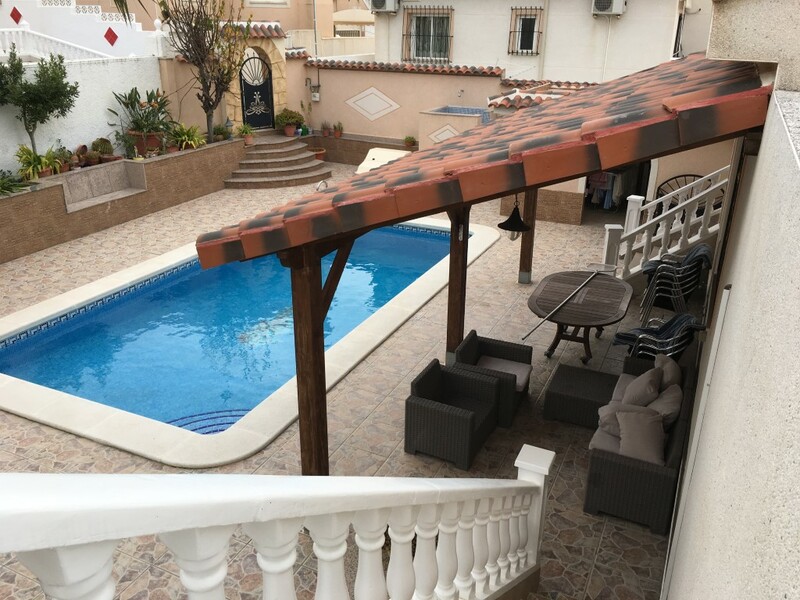 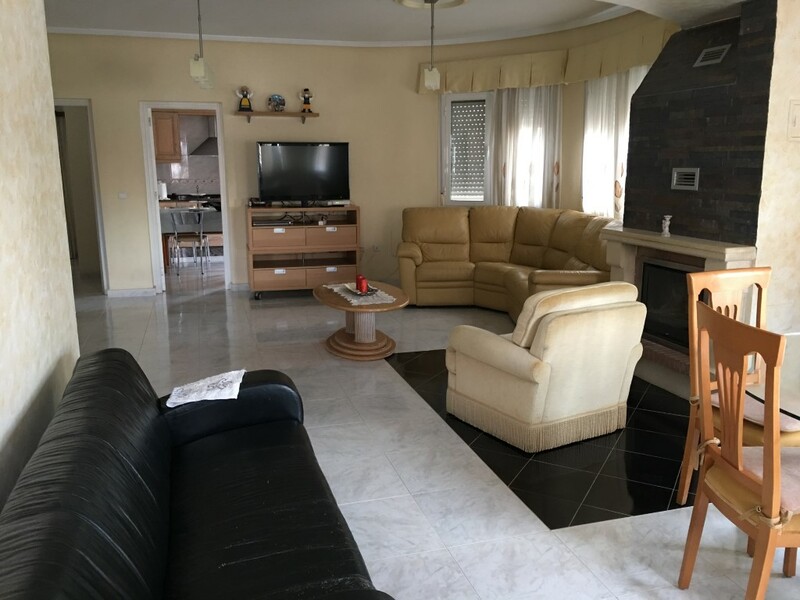 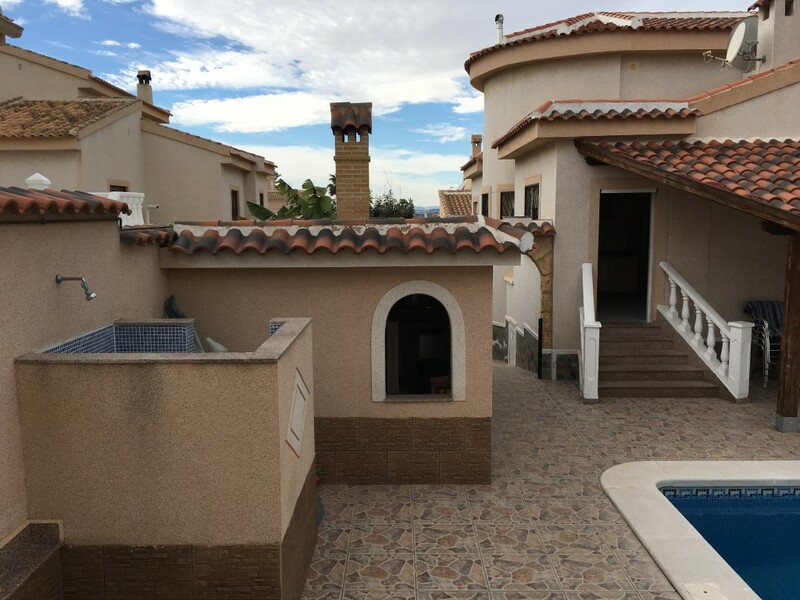 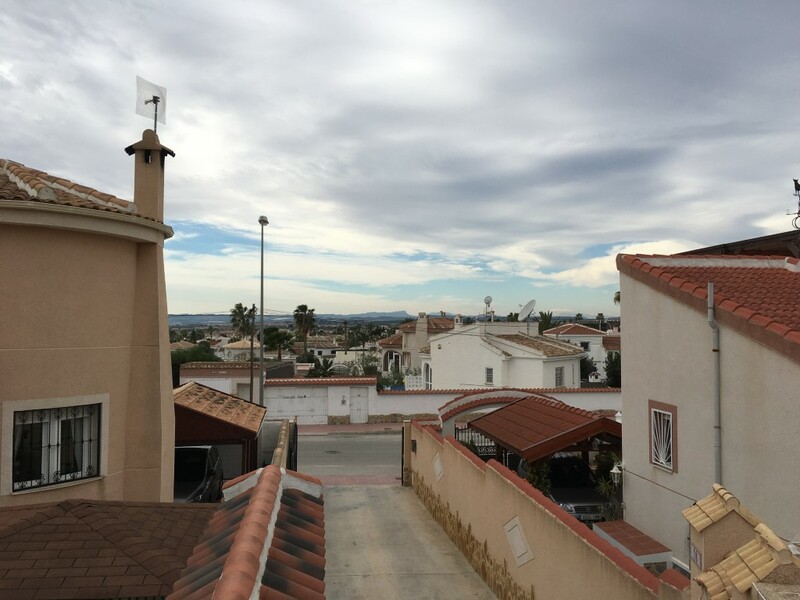 Villa with 5 bedrooms, 3 bathrooms en 1 guest toilet in Ciudad Quesada, on walking distance of all kind of amenities and near the "La Marquesa" Golf Course and only 10 min drive to the golden sandy beaches of the Costa Blanca South. 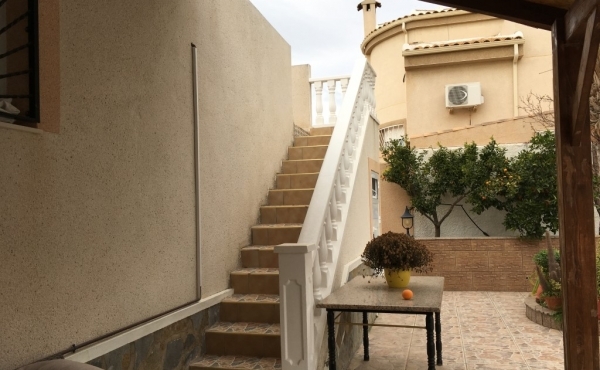 You can enter the main building via the stairs at the front or the back via the kitchen. 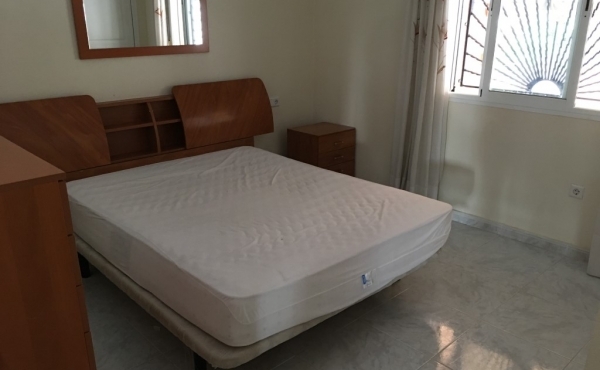 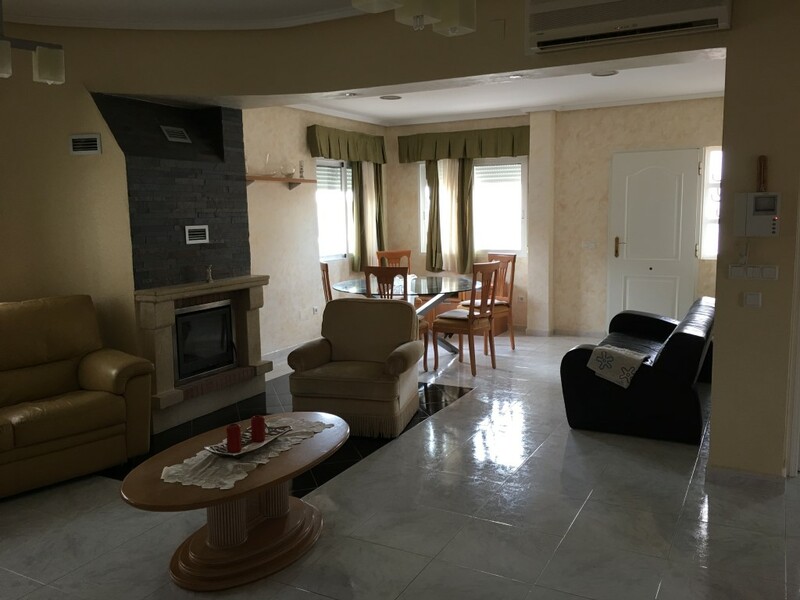 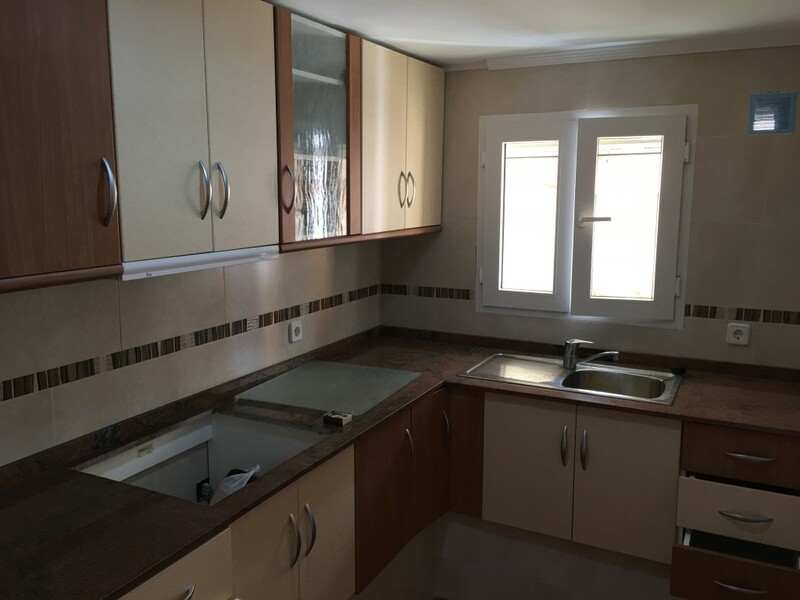 Here you will find a large living room with fireplace, 3 bedrooms, 1 bathroom and a fully equipped kitchen. 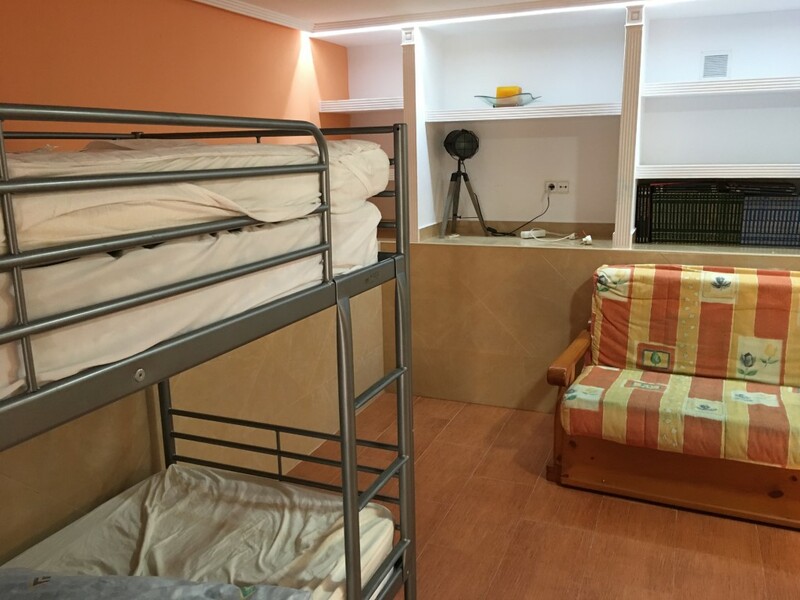 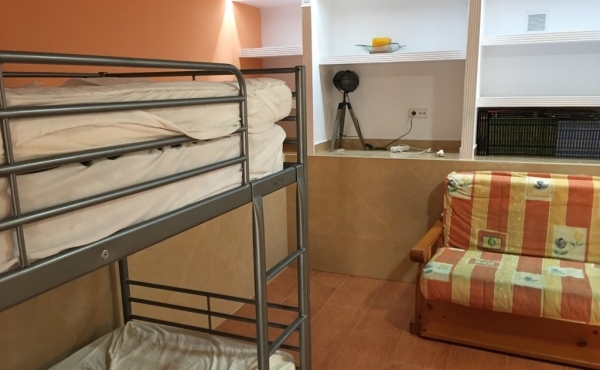 The guesthouse is divided into a bedroom with a private bathroom, a living room and a separate kitchen. 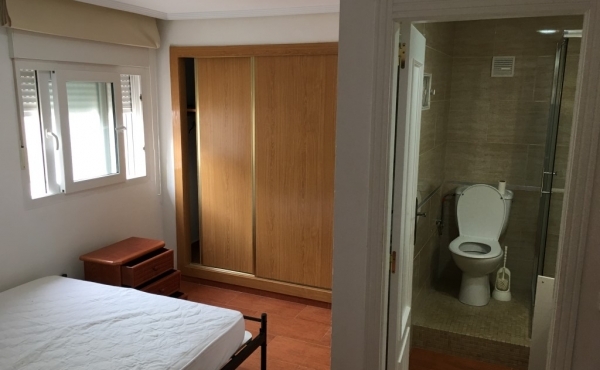 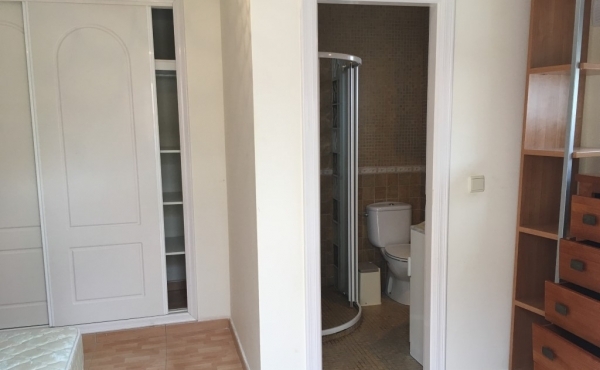 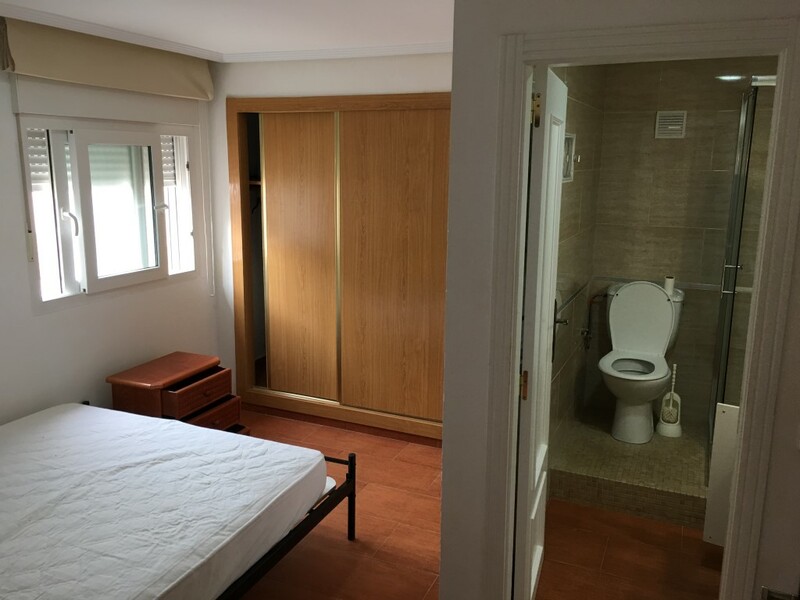 The guest room on the outside of the house also has its own bathroom. 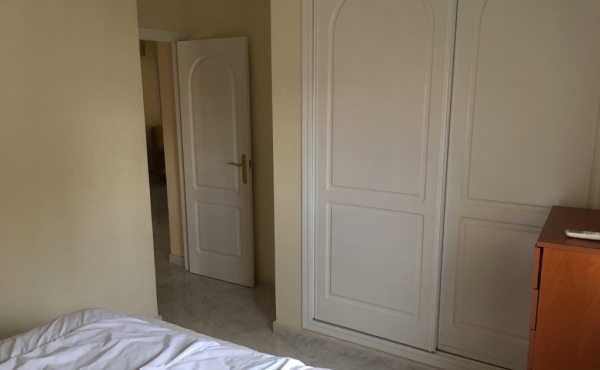 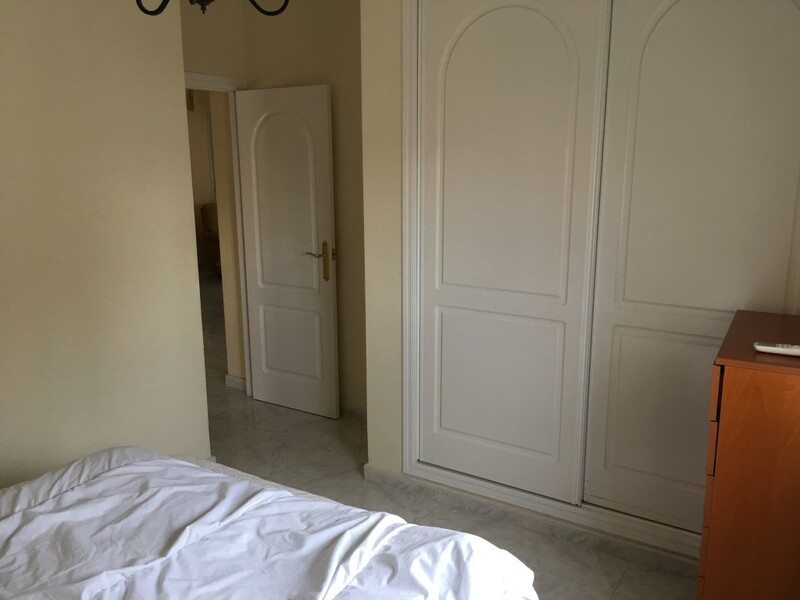 All bedrooms on the property have built-in wardrobes. 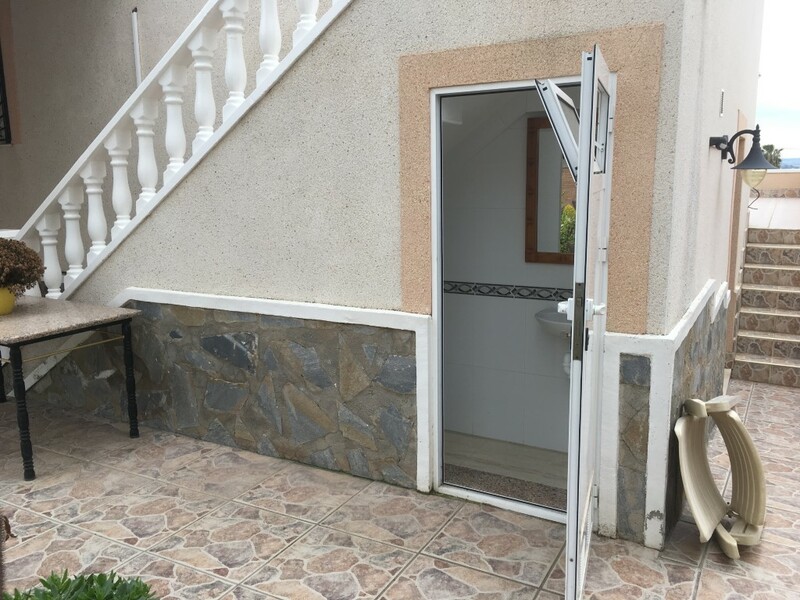 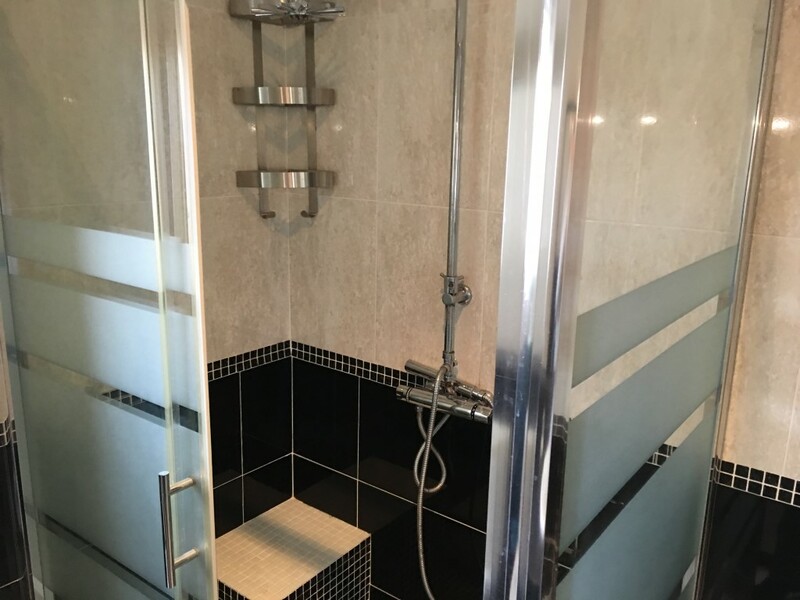 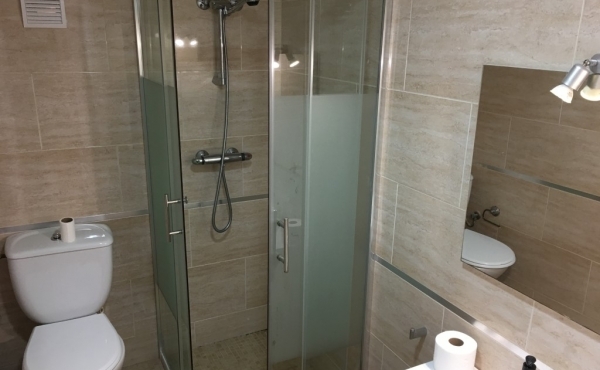 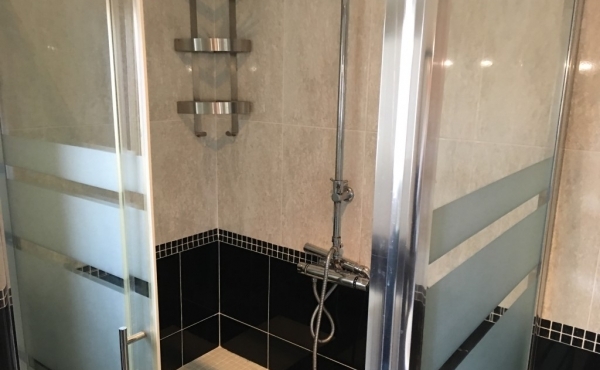 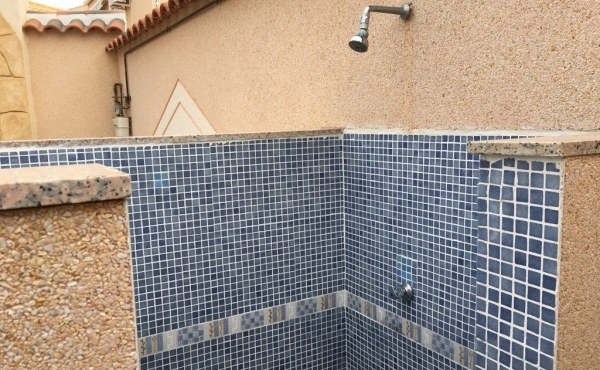 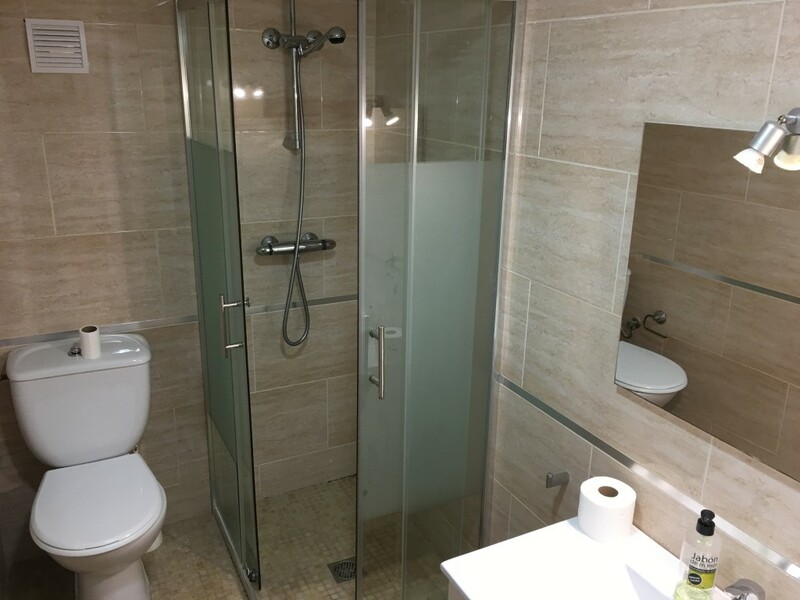 At the rear of the building you will find the large private swimming pool with outside shower and outside toilet. 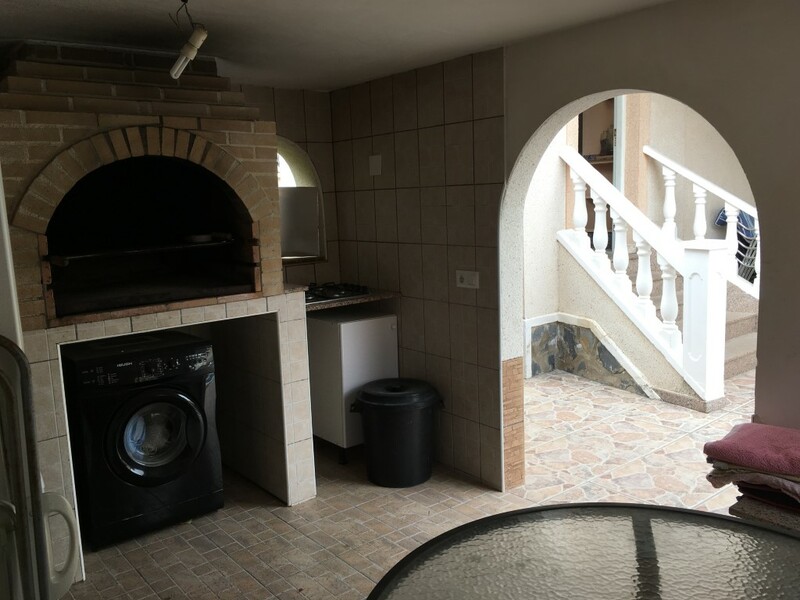 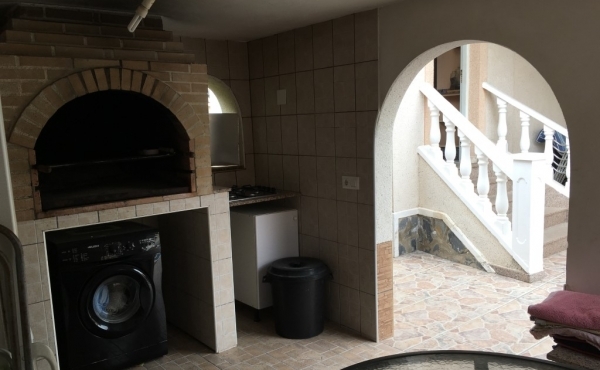 There is a covered outdoor kitchen next to the swimming pool. 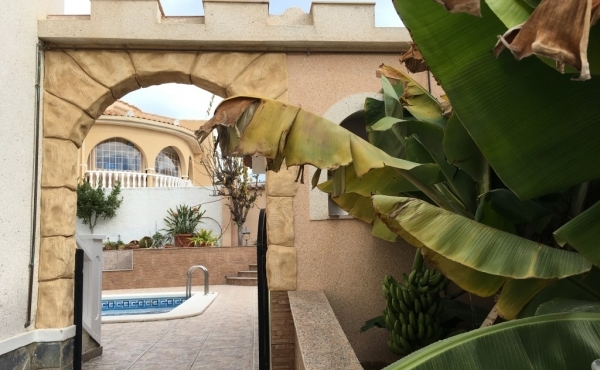 There are several fruit trees in the garden; banana tree, mandarin tree, lemon tree, etc. 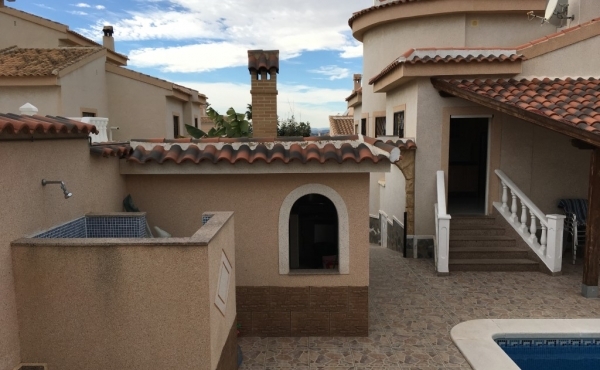 The property has 2 private solariums with mountain and salt lake views. 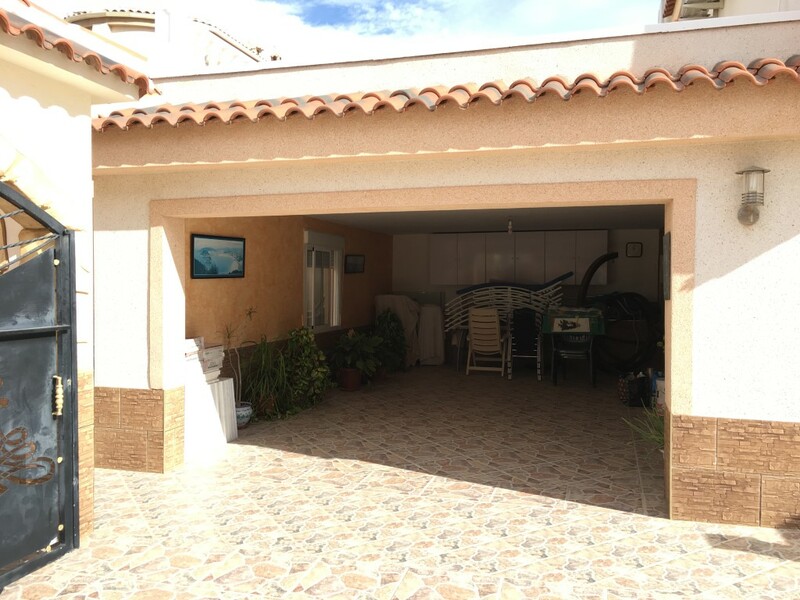 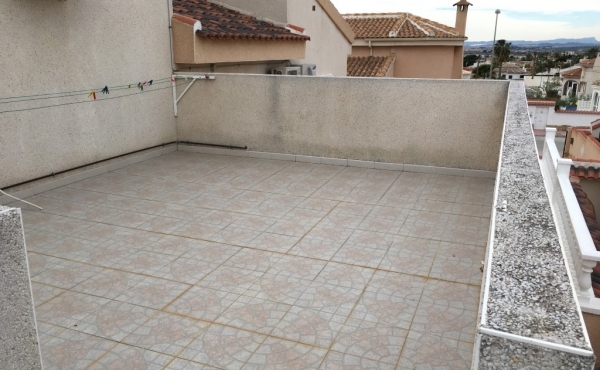 There is a large carport that can accommodate up to 2 cars. 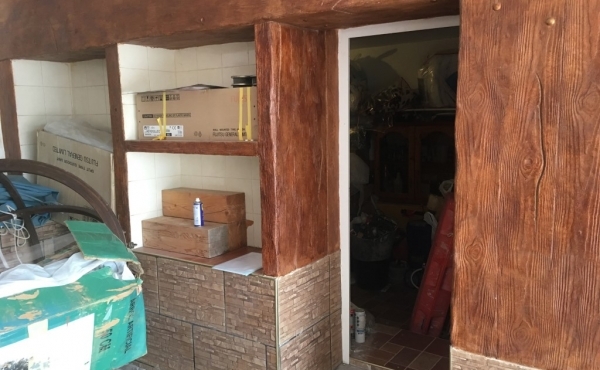 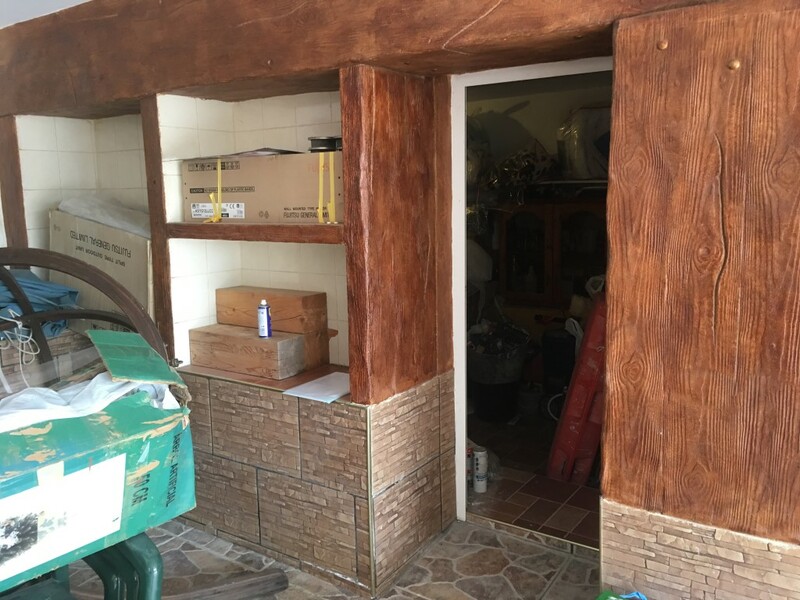 In this carport is the entrance to the storage room that is located under the house. 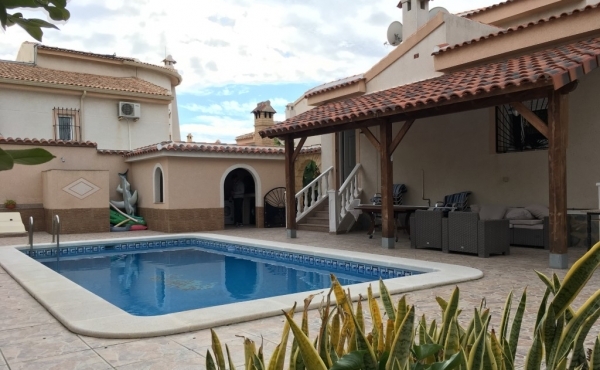 Winter visitors who like to play golf will appreciate this villa because of the proximity of more then three Golf courses within a 10-15-minute drive. 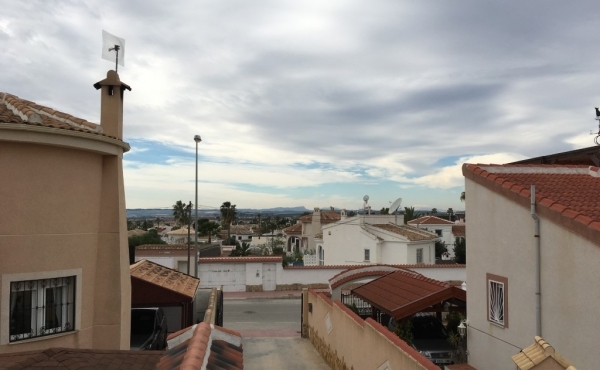 The numerous playas of Orihuela Costa and the largest outdoor shopping boulevard "La Zenia" in barely 20 minutes drive. 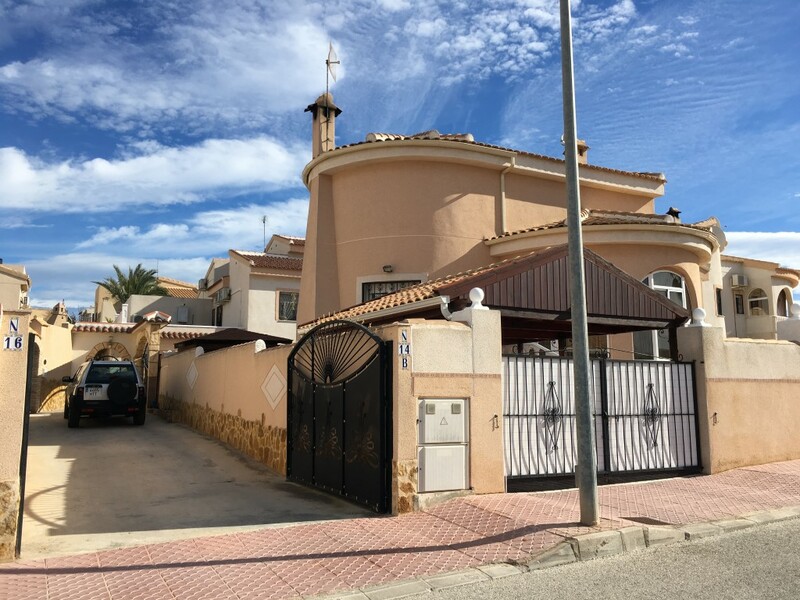 The airport of Alicante is in 30min drive.